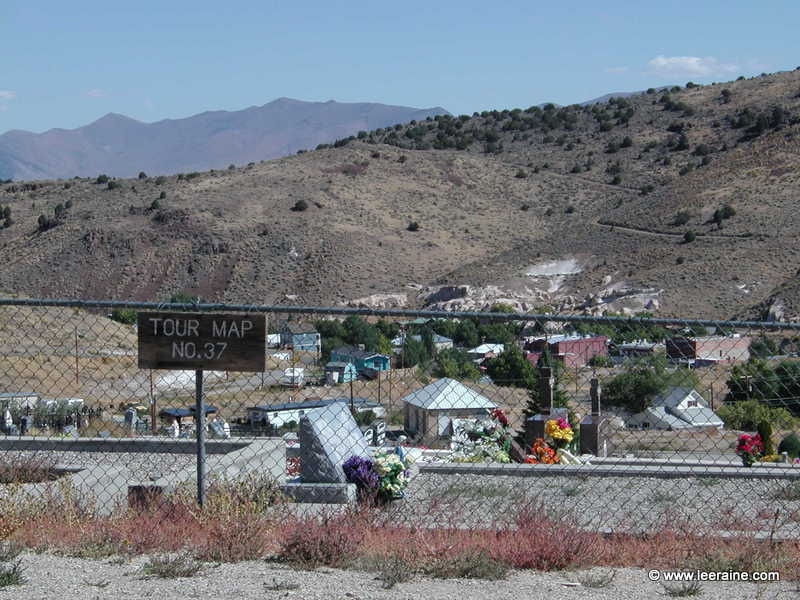 The Eureka, Nevada Historical Society designated a number of sites in the town and surrounding area to be included in a self guiding tour. Please scroll down this page to see photos and descriptions of these sites. 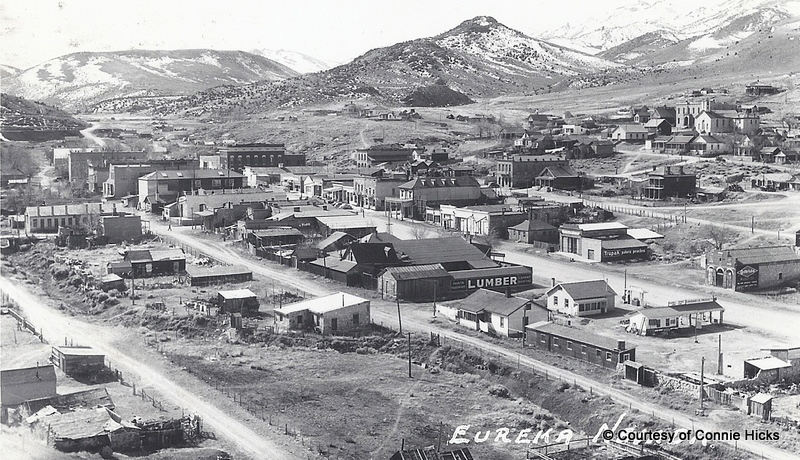 Eureka is not a ghost town. 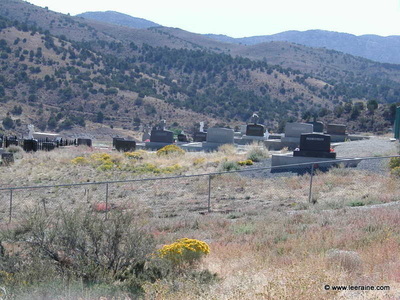 These sites are privately owned and most are still in use. Please do not trespass on or in any land or building that is not open for business. Please treat all sites with respect. This tour is undertaken at your own risk. Some old buildings are unsafe. No attempt has been made to change Eureka. It is absolutely authentic as it stands. 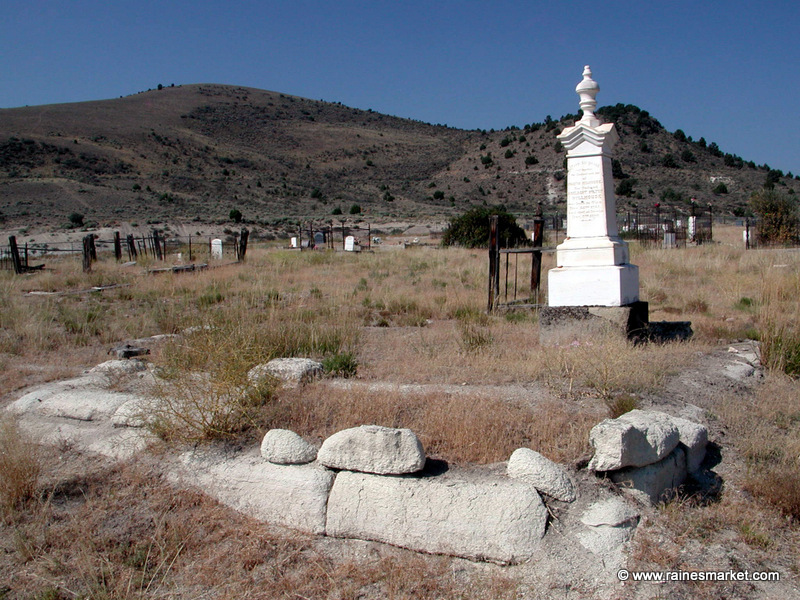 To change this town would be to destroy a very rare and wonderful piece of Nevada's heritage. We would like to keep Eureka just as it is, and with your help, we can. Note the numbers on the buildings and sites correspond to the following historical descriptions. Current ownership and occupancy changes without notice, so inquire locally for details. 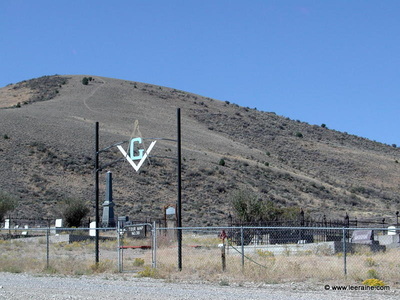 Mining is still a strong industry in Eureka. 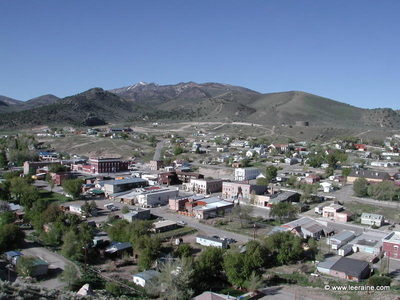 The Barrick Ruby Hill Mine is in operation adjacent to the town on the west. 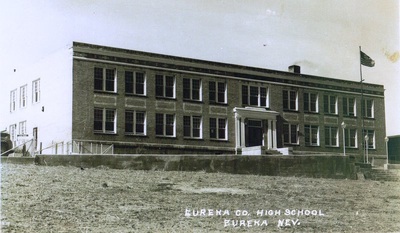 Vintage photos of Eureka - click for larger views. Eureka Main Street, facing north, in the 1950s. 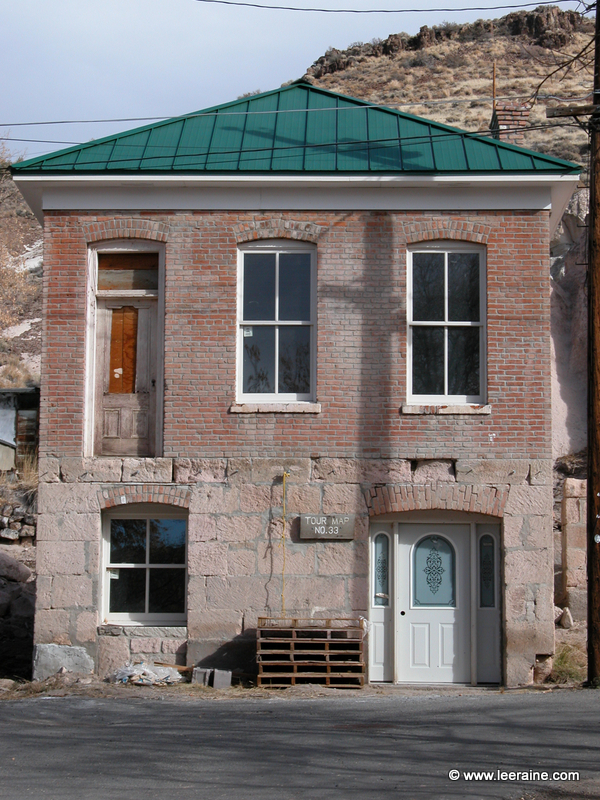 This building was built in 1879 to replace the Eureka Sentinel Newspaper office after one of the town fires destroyed all but the fireproof portion of the newspaper office. After the fire the building remained so intensely hot that wet blankets were thrown over the backs of the printers so that they could get the next edition of the newspaper out on schedule. The building was constructed at a cost of $10,000 and designed by architect C. M. Bennett. 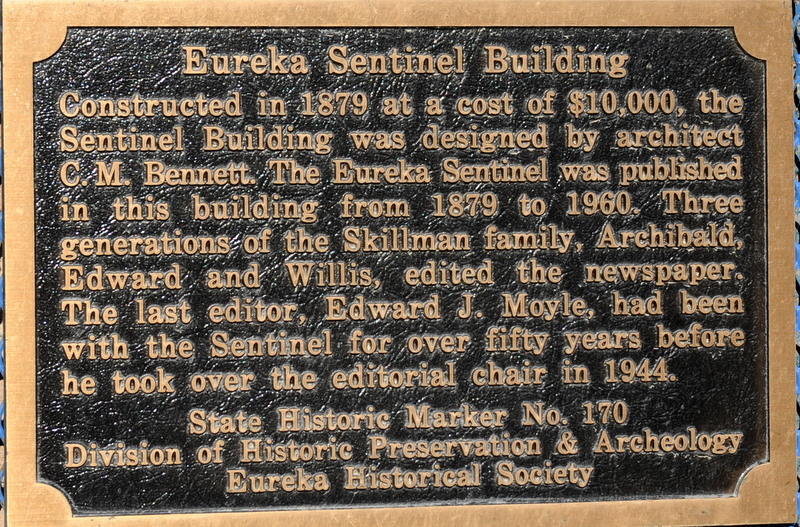 The Eureka Sentinel Newspaper published its first newspaper in 1870 and continued publication here until 1960. 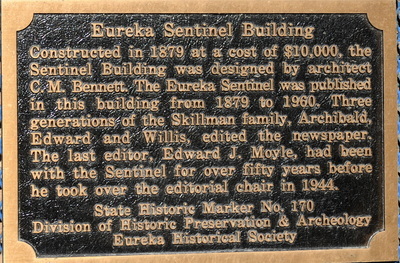 The museum houses the original equipment and presses of the Eureka Sentinel Newspaper which are located in the back room. Many of the posters on the walls date back to the 1880s. 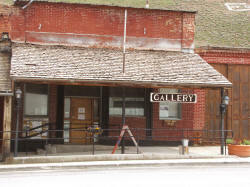 The museum also displays original mining equipment and ledgers, military uniforms, a reconstructed 1880s barbershop, and exhibits depicting life in the early days of Eureka. View on the right is from the 1950s when it was still the newspaper office. 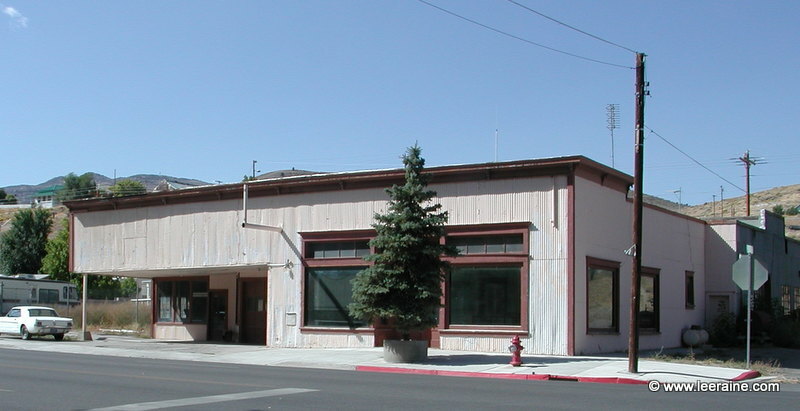 Eureka Sentinel Newspaper office in the 1950s. This building was erected in 1880 by the Italian Benevolent Society who held meetings here. By 1890 and into the 1930s the building was vacant. In the 1940s the Colonnade was again open for business as a boarding house and continued as a hotel until the turn of the century. Today it is vacant and being restored. This building was completed in March, 1924 and financed by a school tax raising $3000. The building housed the 1-12 grade students until a new school was built on Vandal Way in 1969. Elementary students continued to attend school here until 1995 when a new grade school was built. View on the right is the school when it was new. 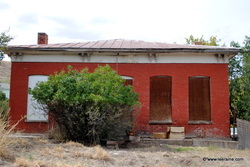 Demolished in 2012 by order of the Eureka Co. School Board. Nob Hill School, Eureka, 1800s - (building on right in photo is St. Brendan's Church) Eureka's first two-story brick school was built in 1879, but was torn down in the late 1930s. It had to be vacated in the early 1920s due to structural damage caused by an earthquake. 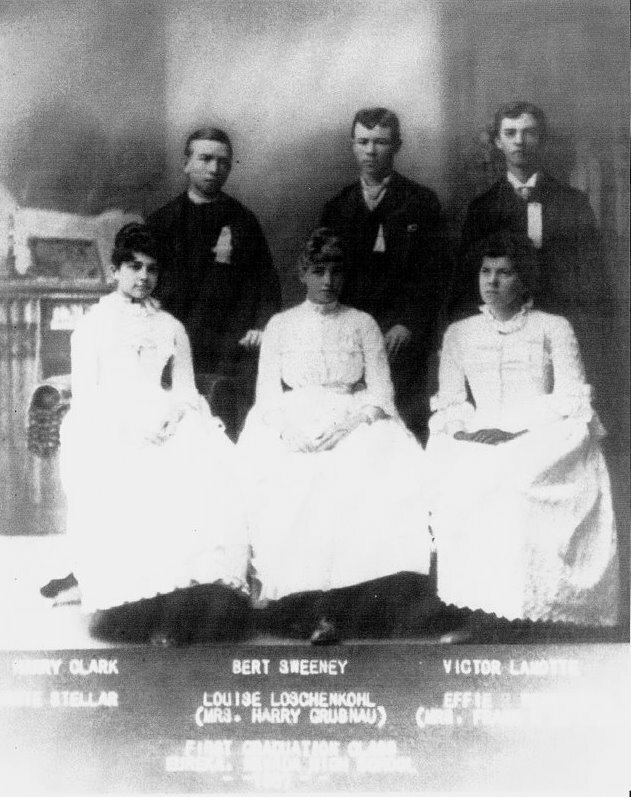 First high school graduating class in Eureka, 1887. Eureka High School Graduating class of 1914. 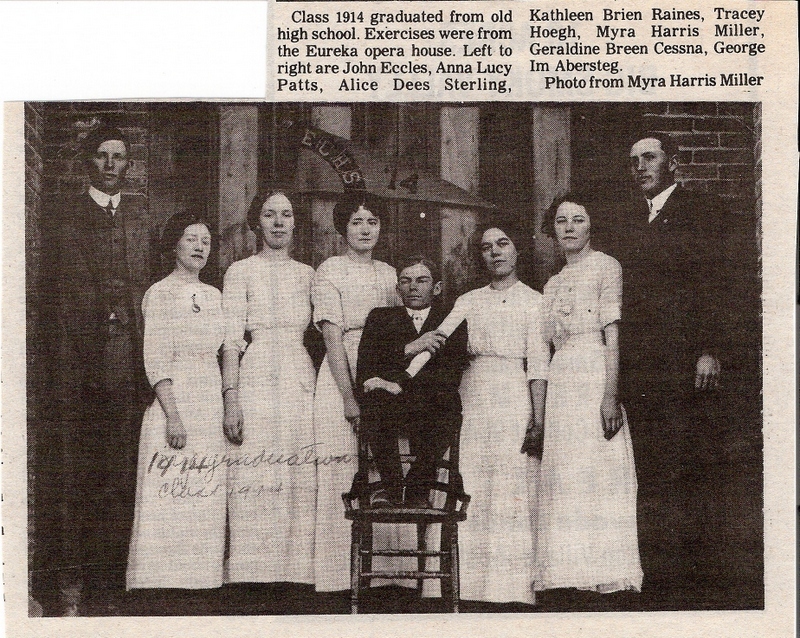 John Eccles, Anna Lucey, Alice Dees, Ketty Breen, Myna Harris, George Im Abersteg, Tracey Hoegh. This version of names is from a Tognoni album. Spelling may be incorrect in some cases as it differs from the printed page. Newpaper also gives the ladies' married surnames. 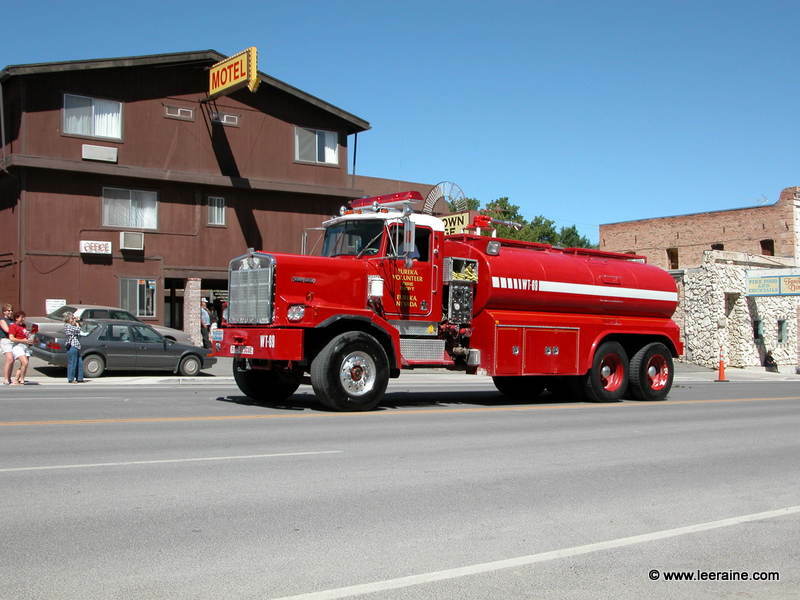 This was the site of the Eureka County Shop building for over 40 years, the same old shop building then housed The Eureka Volunteer Fire Department for more than a decade. 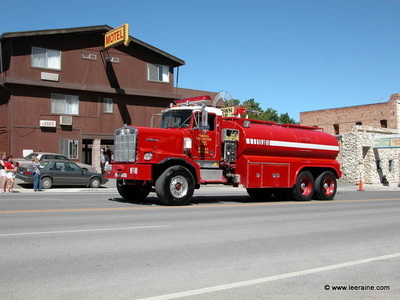 The modern fire building was constructed in 2009 and holds fire and rescue apparatus that provided the local fire department with facilities to house expanded structure, wild-land, and crash/rescue capabilities. The fire building design features large glass panels in all doors to provide taxpayers 'transparency in government' by displaying fire / rescue equipment they have purchased. A Fire Department Museum was incorporated into the structure where many of the original fire apparatus used since the founding of Eureka can be found in excellent condition. The fire museum includes several original man-pulled hose carts still in working condition, Eureka's first motorized fire truck - a Model A Ford that still runs and is driven in the Independence Day parade every year, as well as other historic Eureka fire engines and tools. 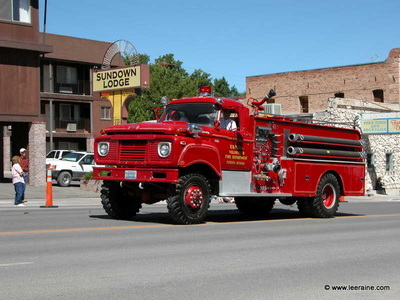 Large 'store front' windows provide a good view of the museum to all, the display is lighted for viewing after dark and tours inside can be had by contacting any of Eureka's Volunteer Firemen. #5 Stone and Brick Building This building has a "Castorlube Motor Oil" sign painted on the north side. This building was originally a two story structure that was built in 1879 by an Italian company under the management of Celso Tolli. It served as a saloon. 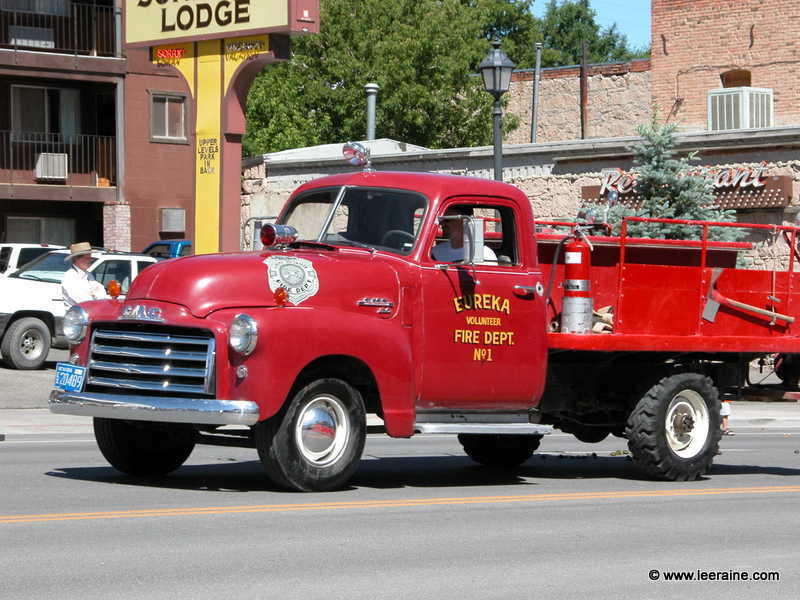 It was in Tolli's saloon that approximately 500 Italian carbonari (charcoal burners) formed the Eureka Coalburners Protective Association in July, 1879. Because many of the Italian charcoal burners did not speak English, they were often cheated in the sale of charcoal to the refineries. After forming their association, the desperate burners stopped the supply of charcoal, asking for a two cent increase to a total of 30 cents a bushel. Several teamsters were threatened, the refineries threatened to shut down and burners were arrested, but little charcoal was loaded. 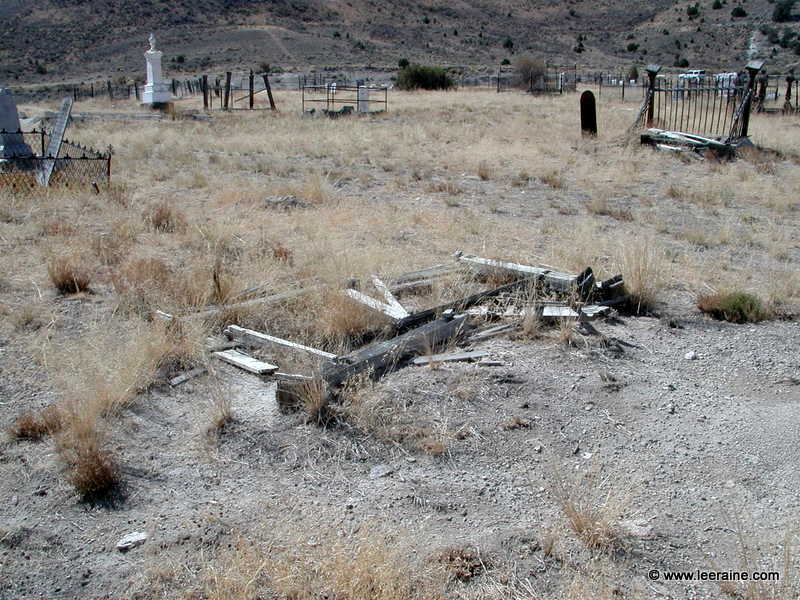 An ugly confrontation occurred on August 19, 1879, at Fish Creek when striking charcoal burners and a local posse exchanged words, then gun shots. Six burners were killed and ten more were wounded. The coroner's inquest excused the posse as acting "in the line of duty." The charcoal burners realized that the companies had won and they had no choice but to go back to work. The companies then lowered the price of charcoal to 26 cents a bushel. 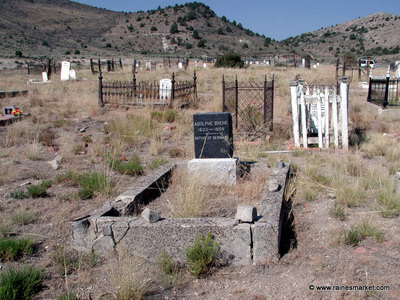 See The Fish Creek War. This building was built in 1877 by Tognini and Company. The Swiss-Italian Company consisted of Joseph Tognini, Ferdinando Bonetti, and Gabiriel Zonali. 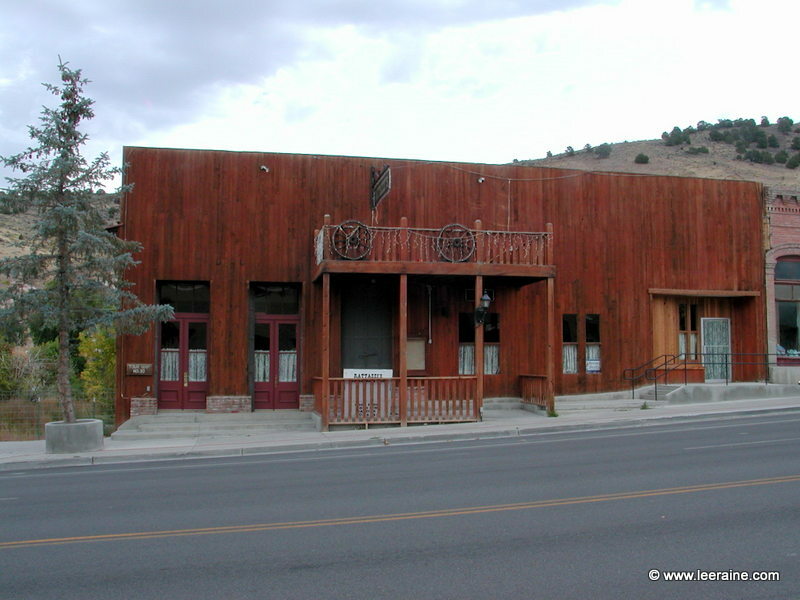 The Eureka Billiard Hall Saloon was operated here. Like many other companies in Eureka a t the time, Tognini and Company was one of the largest companies involved in charcoal production. 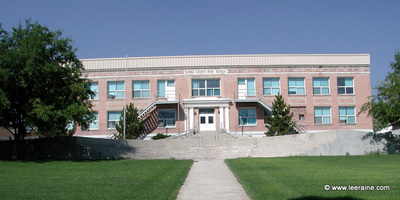 The building attached to the north was built in 1924 by John Biale. The front bricks are the same as those used in the construction of the school. Other portions contain bricks salvaged from the Pinto Mill that was located several miles southeast of town. 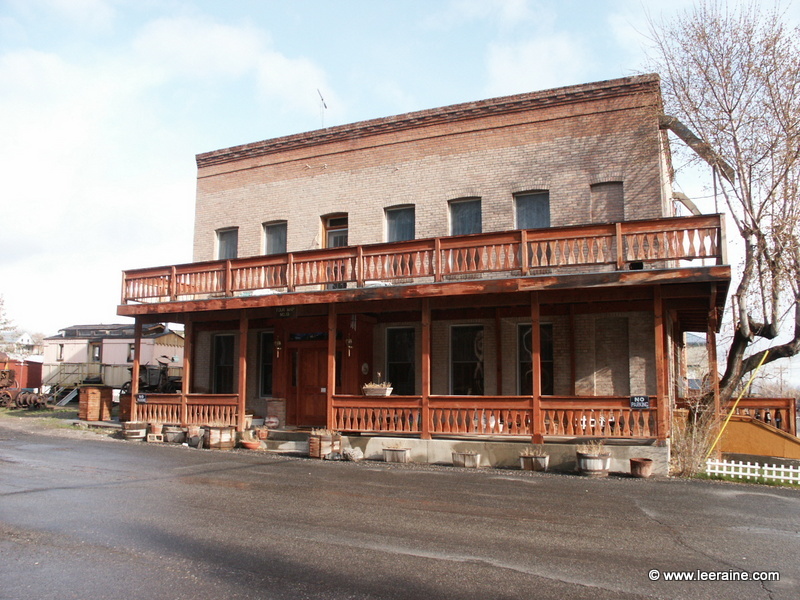 This building is also the site of the first business establishment in Eureka known as the Pioneer Restaurant which consisted only of a canvas tent. The star plates and rods on the sides of the building hold the walls together. 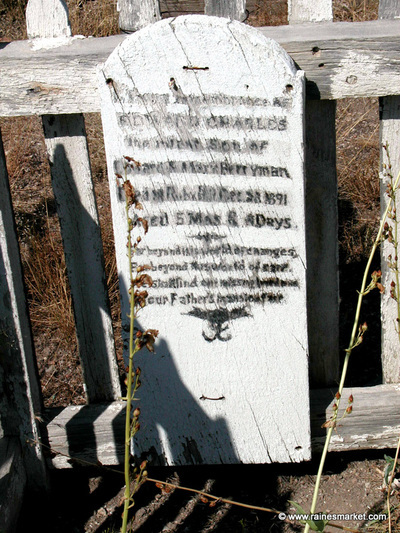 The sign "Trupak Palora Peaches, a distinct new variety," was painted on the wall around 1930. Two Jewish dry goods merchants erected this stone building in 1874. Cesare Rossetti acquired the building in 1874 and still owned it in 1886 when books were sold in the main floor and lodgings could be had upstairs. If you look at the back of the building, you can still see the original blocks formed from local volcanic rock. 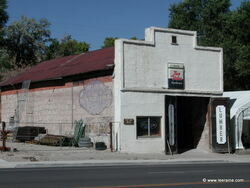 For many years it was operated as a bar with a dance hall in the back. A two story frame building stood here in the 1880s. 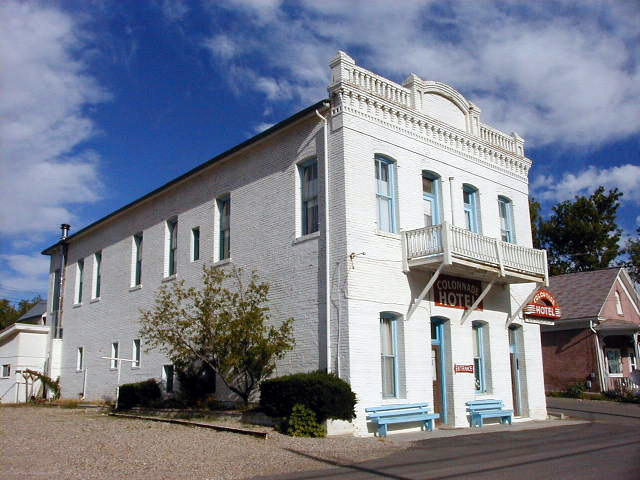 The original building housed a dry goods or clothing store downstairs with the San Francisco Lodging House upstairs. Around 1880 William Zadow moved his butcher shop from a building next to the Eureka Opera House to this location. He operated the butcher shop for over twenty years. A brick building was erected on the left housing a bar and a jaialai fronton was in the structure on the right. 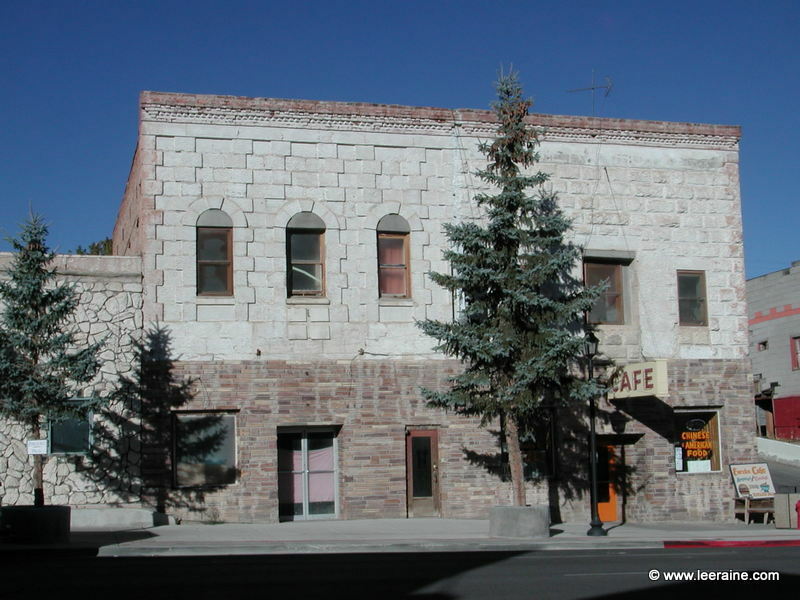 In 1941 all three of them were combined as the Lincoln Hotel with more than 50 small rooms. It was acquired by Lee and Blanche Olinger in 1946. Lee died in 1966 and in April 1968 the hotel was the site of the unsolved murder of Blanche Olinger. After that it was sold and became the Alpine Lodge and the Lucky Stiff Bar. It was condemned in 1996 and for many years stood empty. This establishment was really two buildings. In 1873, the northern half of the building was erected. It was built from local quarried volcanic tuff. The constructor, William H Clark, ran a general merchandise and hardware store downstairs and upstairs provided offices for doctors, dentists, and lawyers. 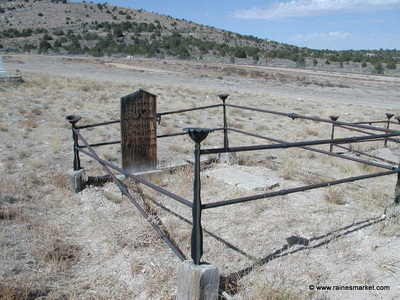 A Nevada legislator and attorney, Thomas Wren had offices here. In 1907 the building was converted to the Zadow Hotel and the southern portion of the building erected. When the Lincoln Highway (now Highway 50) opened in 1915-16, the price of a hotel room was $2.50 a day under the American Plan. 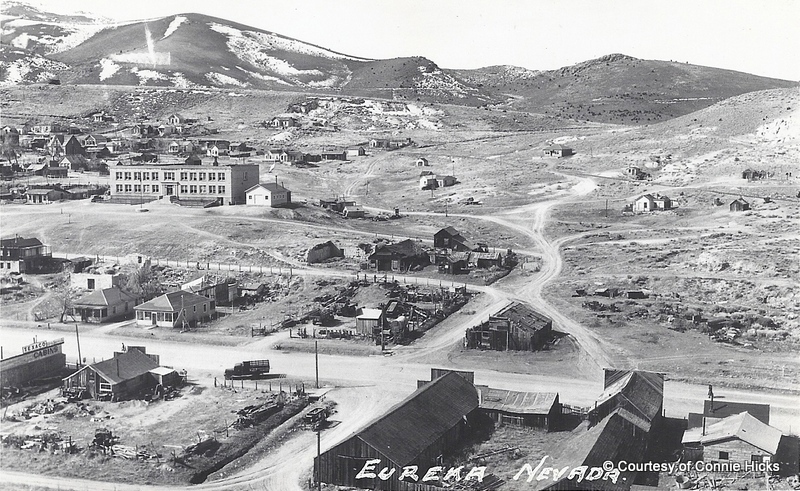 In 1920 Ed Herrera acquired the property and changed the name to the Eureka Hotel. Pete Laborde, former owner of the Nevada Club, owned this hotel in the 1930s. Around 1942 the Eureka Cafe began serving American and Chinese food and remained in the hands of various members of a Chinese family until 2016. Photos above are of the underground tunnels below the Eureka Cafe. Left photo is the access from Monroe Street. These tunnels were used for storage in the early days. The right hand photo is from a Los Angeles Times article from 1975. Text from the article is in photos below. 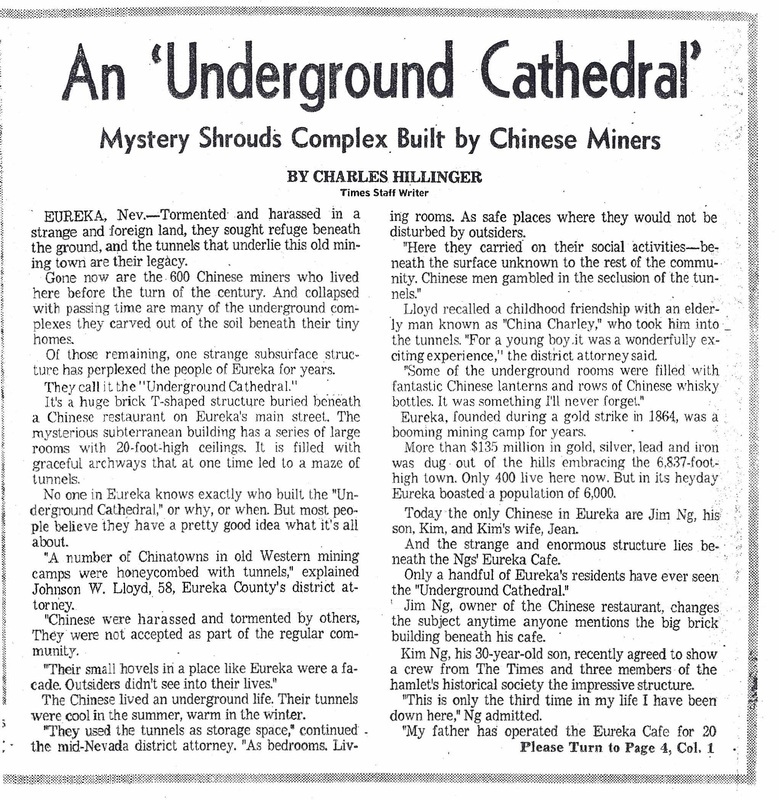 The thesis from the article that the tunnels were of Chinese origin is strongly disputed by the old timers from Eureka. Probably not the truth, but interesting interpretation. Having been down there, which is obviously a rare privilege, all one can say is the brick work is amazing. 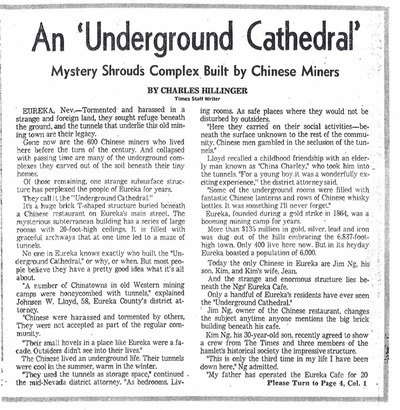 The above controversy on the tunnels under the town of Eureka gives rise to the question, where was the China Town section of Eureka? We are told it was on north Monroe Street, in the vacant area between the Sentinel Museum and the Colonnade Hotel. #10 This building was also built of local volcanic tuff. It was built prior to 1873 by Solomon Ashim and his brother. In the 1930s and early 1940s it served as a county restaurant. It has been a bar and restaurant. For a number of years in the late 1900s it was known as Jim and Lorraine's. 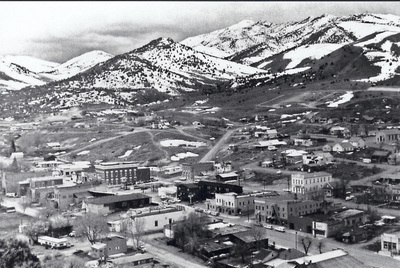 The Nevada legislature created Eureka County in 1873. Officials renovated a former ice rink donated by Judge John O'Darrow to serve as the first county courthouse. A fortified jail and fireproof vault were added to the 40-by-100-foot wooden building located at the intersection of Main and Bateman Streets. 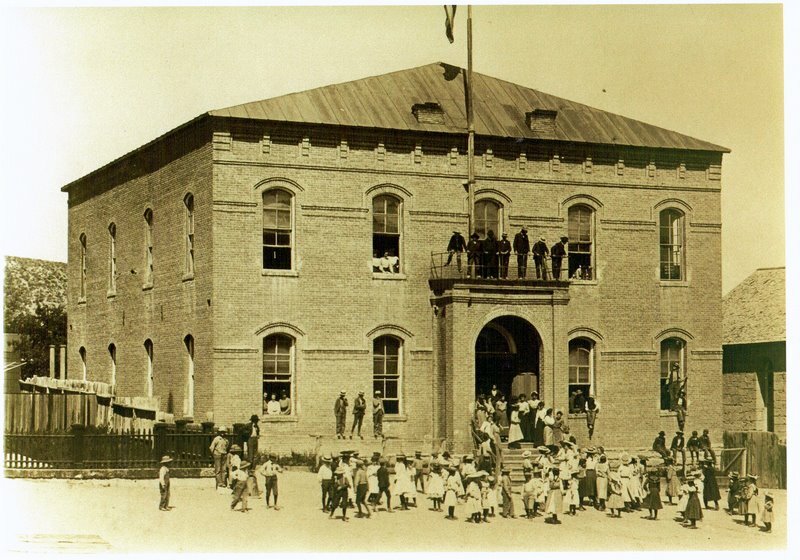 After fire destroyed hundreds of buildings in the town of Eureka in 1879, officials became concerned about their wooden courthouse and accepted plans from George C. Costerisan for a more formidable structure. The county hired R. Ryland to construct the courthouse. He withdrew from the project shortly after the completion of the exterior, at which point Costerisan finished the interior. J.S. Whitton supervised the construction, and McNally and Hawkins of San Francisco provided the heating and plumbing. 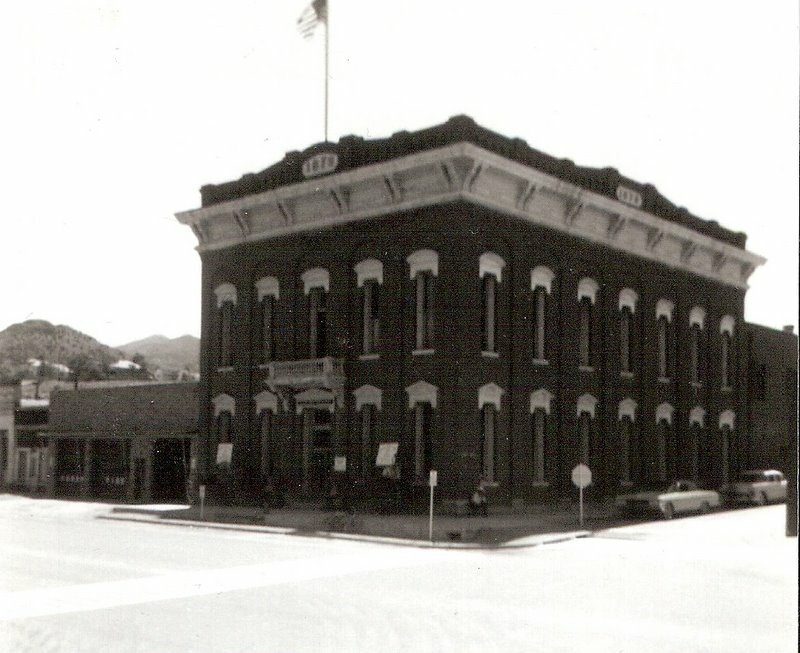 Court house in the early 1950s. Building on the left was a fire house at that time. Construction of this two-story brick structure began in 1879 and was completed in 1880. The building was added to the already existing jail which remained in use through the 1980s. Construction of the courthouse cost $38,000. It was designed in a modest Italianate, turn-of-the-century style, but additional expenses for a vault and other fixtures brought the price to $50,000. The brick two-story structure measures 50-by-80-feet and stands fifty-one feet high. A second-floor balcony supported by brackets rests over the main entrance. Exterior accents include brick pilasters that rise to a metal-bracketed cornice, and a parapet wall with detailed brickwork. The large iron shutters adjacent to the windows and doors of the courthouse (and other buildings of the town) protected the windows from fires and other damages. Interior details consist of an imported Spanish cedar judge's bench and balustrade and gilded accents throughout. 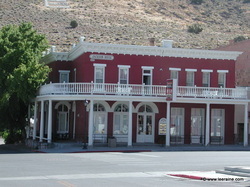 The second-floor courtroom is recognized as the best preserved in Nevada. It measures forty-five square feet with a nineteen-foot high ceiling of pressed metal. A suspended gallery at the rear provides seating for one hundred. The semi-circular witness box placed in front of the judge's bench is distinctive because of its shape and its unusual location. When it was completed, it was the finest courthouse in the state of Nevada outside Virginia City. 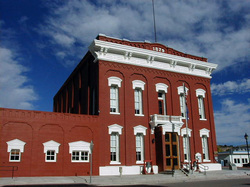 The building is one of two nineteenth-century Nevada courthouses still in use today; the other is the one located in Virginia City. The two large bells in front of the courthouse were rung as fire alarms by two of Eureka's several volunteer fire companies. One was cast in Cincinnati, Ohio, and the other in San Francisco. Each bell was identified by its tone. 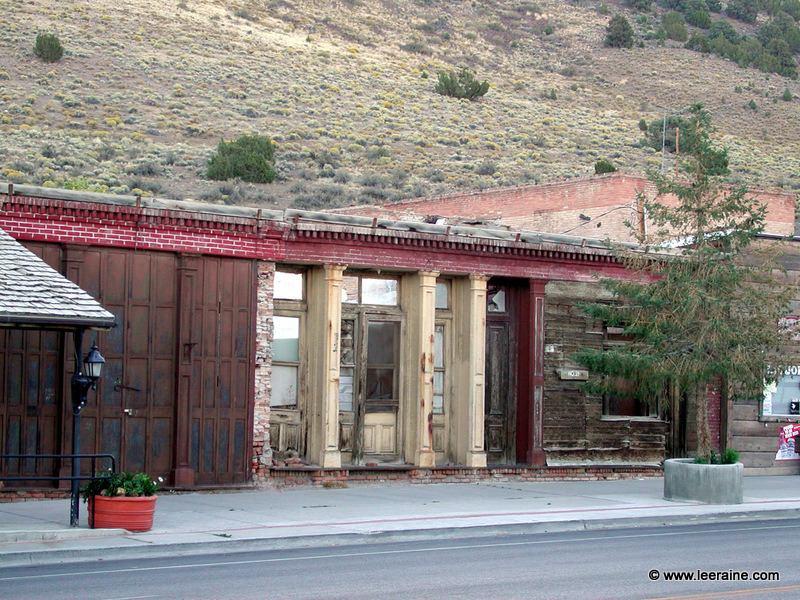 This red brick building with iron columns was built in 1880 and used as a wholesale liquor store. During the 1890s it was a stationery store and post office. The Farmers and Merchants Bank was located here in the 1930s. The Farmers and Merchants Bank was one of the few banks in the country that did not close down during the Bank Holiday of the 1930s. Later in the 1930s the bank moved down and across the street to the location on the corner of Clark and Main Streets that banks held until 2016.. The older portion of this building was erected in the summer of 1880. The iron doors and columns were cast by the local Eureka Foundry Company. It has housed many businesses over the years including a grocery store, variety store, and mortuary. The new extension to the building occupies the area where the two story Turner House/Bureau Hotel once stood in the 1870s and early 1880s. On this site stood a hotel and boarding house that was owned and operated by the Rebaleati Family until it burned down in the early 1900s. The building in the photo was built prior to 1917. From about 1917 to 1941, the site was the Ford Dealership and Garage. Mr. Rebaleati sold and serviced Model Ts and Model As. The dirt floor was finally upgraded in the early 1930s. 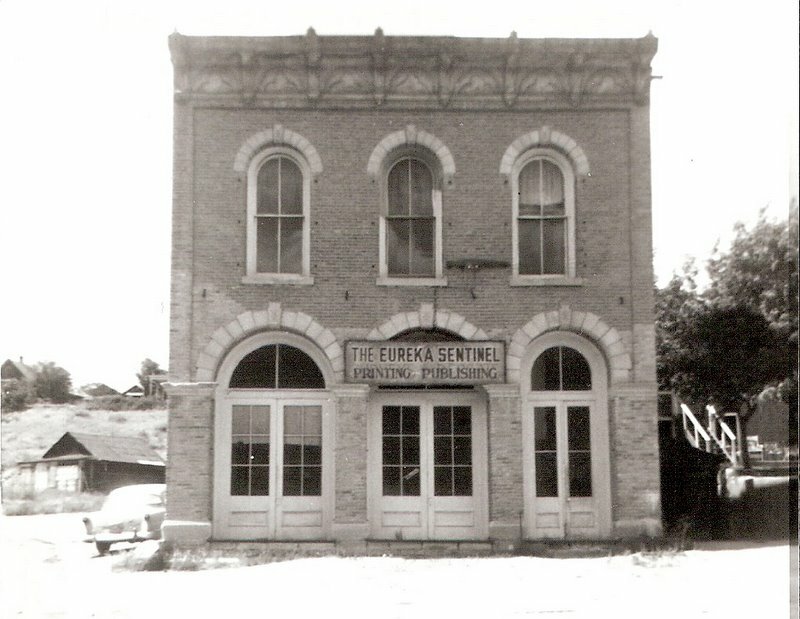 The southern portion of the building was built around 1945 to house generators that provided the first electricity to the town of Eureka. Electricity was produced in this building for the town from 1945-1972. The building in this picture has been demolished, but the property still remains in the Rebaleati family. Storage sheds and a small café are present occupants. This building was the San Francisco Brewery in the mid-1870s. Beer was bottled in the back and there was a saloon in the front portion. 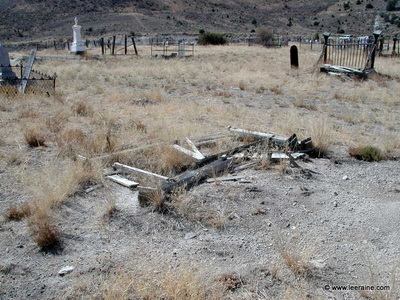 The original wood structure burned down in the fire of August, 1880. 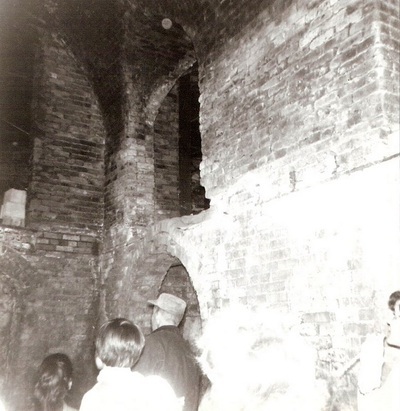 Later that year a brick structure was built on the site by H. Mau and Company. 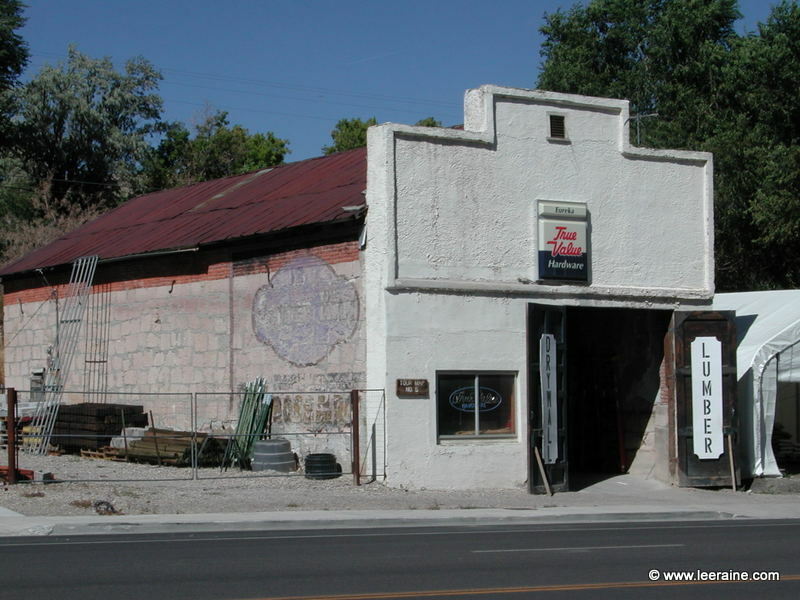 After 1900 Frank Brossemer purchased the building and ran a saloon in front and bottled soda pop in the back. 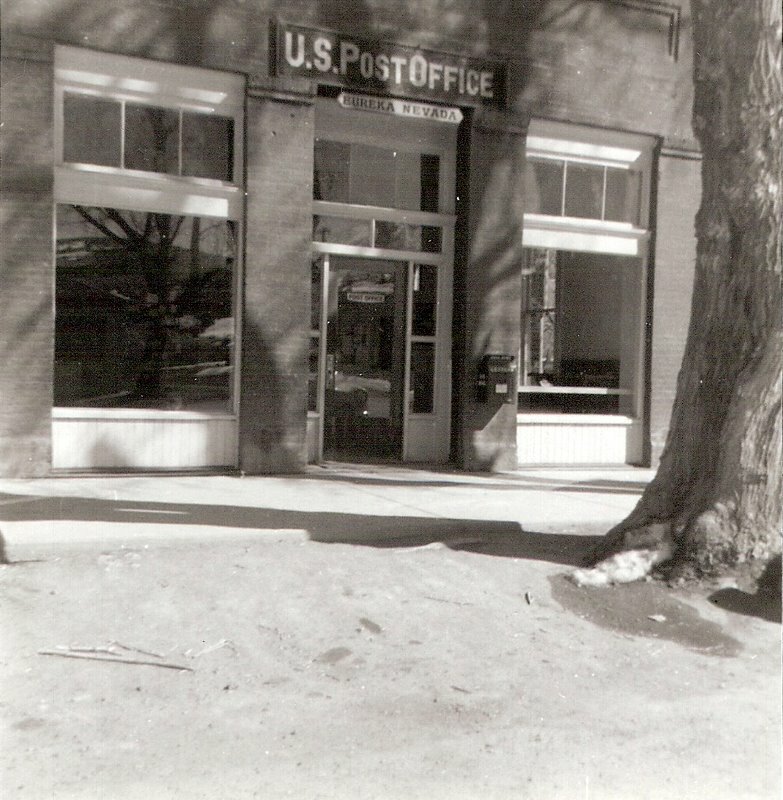 The Eureka Post Office was located here from 1941 until 1982. 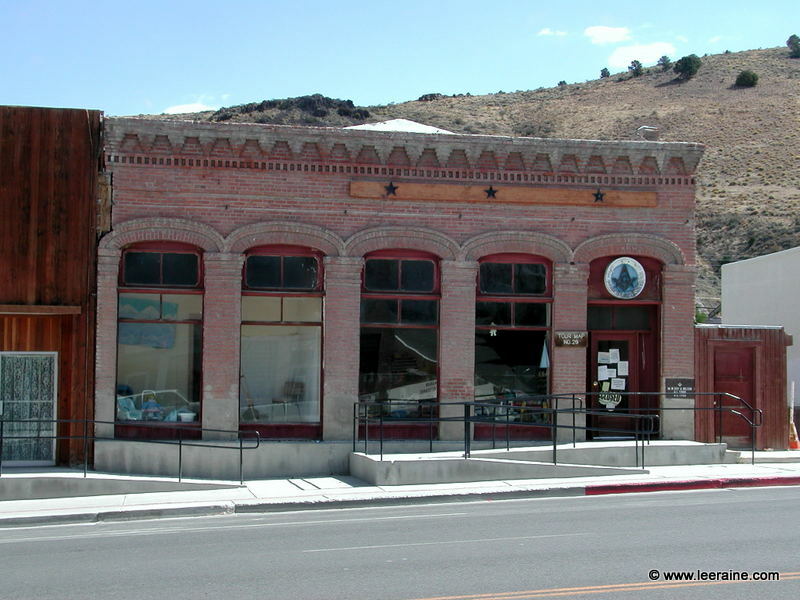 This building was built after the August 17, 1880 fire which started in the store next door. 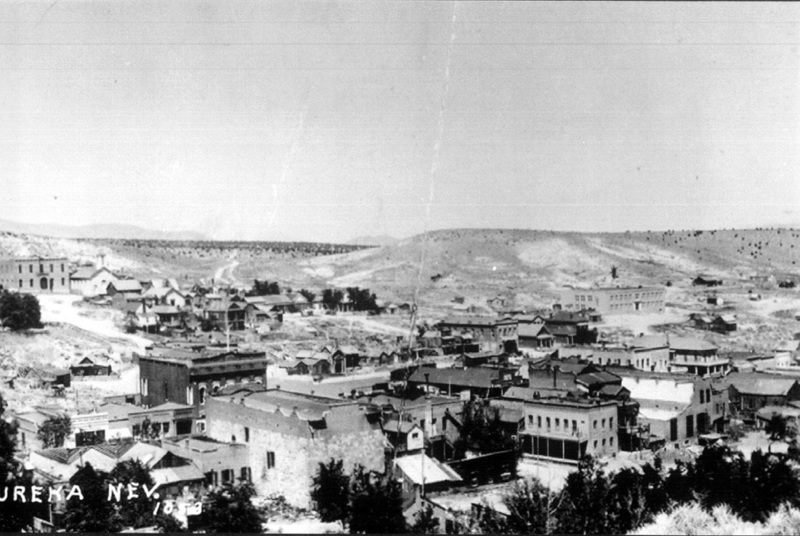 The Eureka Market, a butcher shop, was here in the 1880s. If you step inside you can see the old pressed tin ceiling with floral and bird designs. Remodeled in 1982 into a post office. 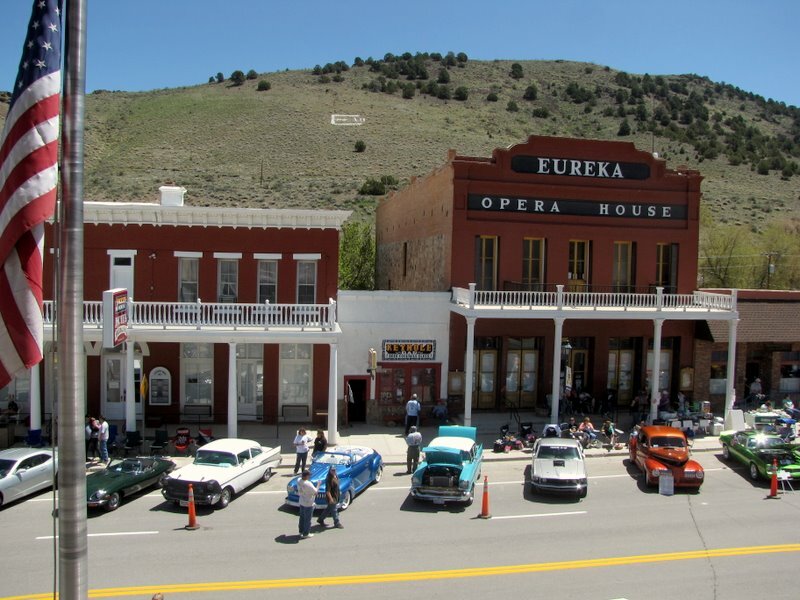 Eureka, Nevada is proud to have one of the best two restored and usable opera houses in the state. 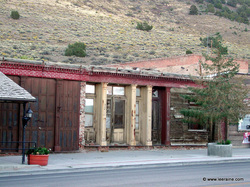 The other is Piper’s Opera House in Virginia City. 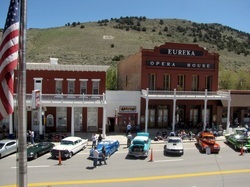 The Eureka Opera House, built in 1880 when the population of the town was about 3,000, has always served as a gathering place. Eureka’s Opera House, today, is a full service convention center and Cultural Arts Center. The building is used for conventions, meetings, and community functions as well as cultural presentations. It is open to the public for tours year-around. It has meeting, kitchen, and catering capacity to accommodate over 300 people. 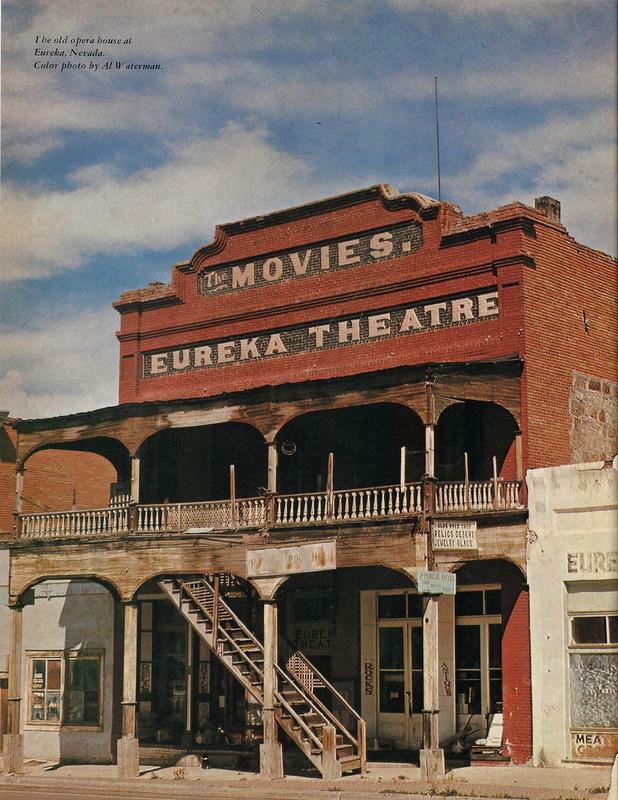 The Eureka Opera House was built on the ashes of the old Odd Fellows Hall, which was destroyed by the great main street fire of August 1879. The Opera House was used for the first time for the New Year’s Eve Costume Ball in 1880. 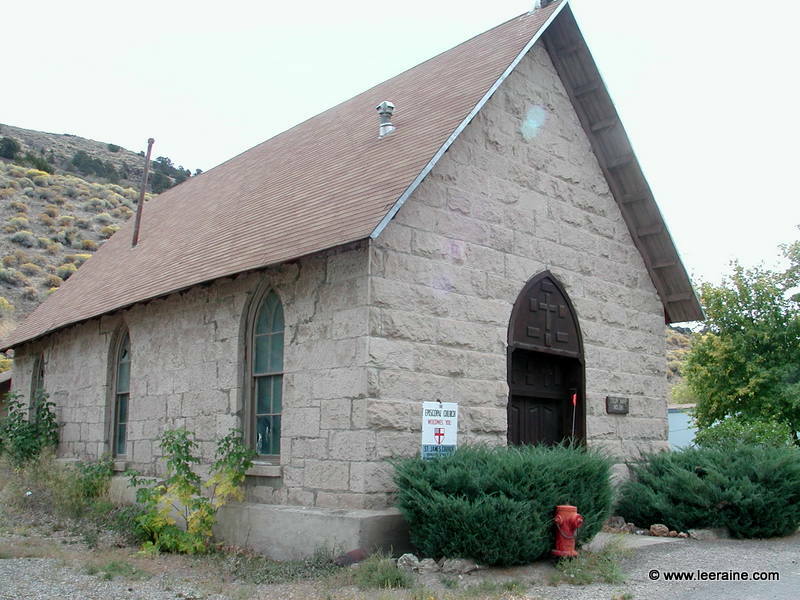 The November 11, 1880 Eureka Daily Sentinel newspaper stated, "The building is, according to the plan of work now being carried on, to be thoroughly fire-proof, built with masonry (volcanic tuff) walls, brick and iron front, and slate roof. From the basement to dome the new theatre will be furnished as none of the class have ever been in Eureka. Its arrangement is pronounced to be first-class, for ventilation, for heat, for means of egress in case of fire, and in fact for a "thousand and one" reasons it is bound to be a beneficial and permanent monument to the memory of those who have erected, and who will so soon elegantly furnish the same for the edification of our people." 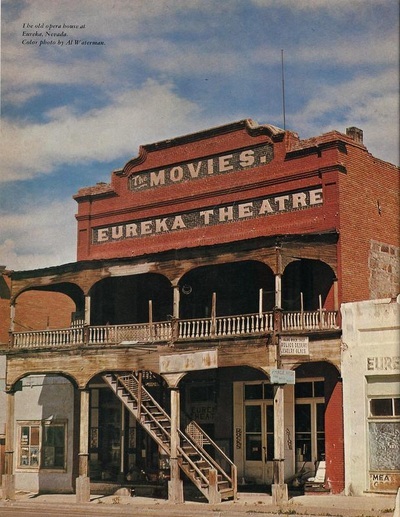 Eureka was on the main tour circuit for opera and theater performances and many famous personalities performed here during the town’s hey-day. 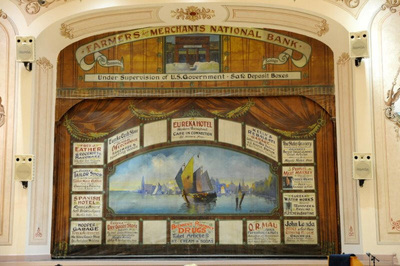 The opera house served as a community auditorium showing anything of interest including boxing, speeches, plays, graduations, and dances including annual Nob Hill Fire Company Masquerade Ball held every year from 1880 until well into the 1900s. The first silent movie was shown there in 1915 and then in the 1920s the opera house was changed into the Eureka Theatre and “talkie” movies were presented. In December 1923, a fire caused by a misplaced lantern destroyed the oleo stage curtain that was originally hand-painted in Italy. 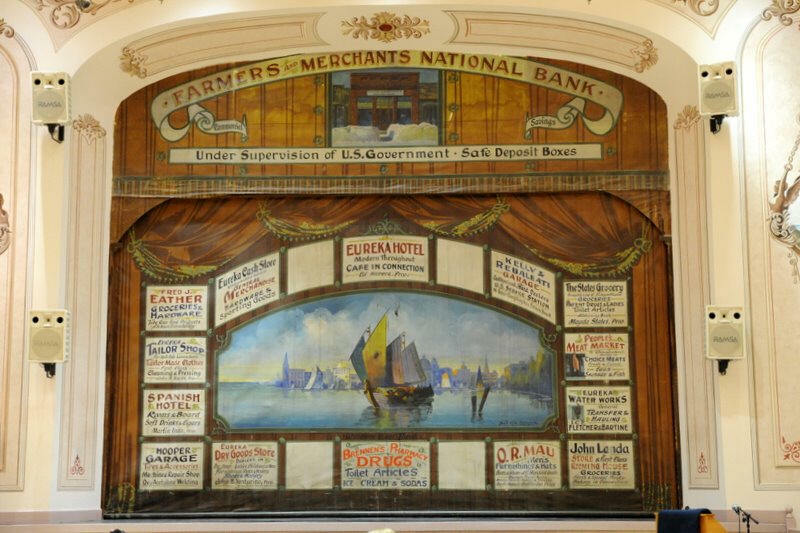 The curtain was replaced in 1924 with a new one painted in Minneapolis, featuring advertisements for local businesses from 1924. The 1924 oleo curtain still hangs at the front of the stage. The last movie was shown in 1958 and the building fell into disrepair. 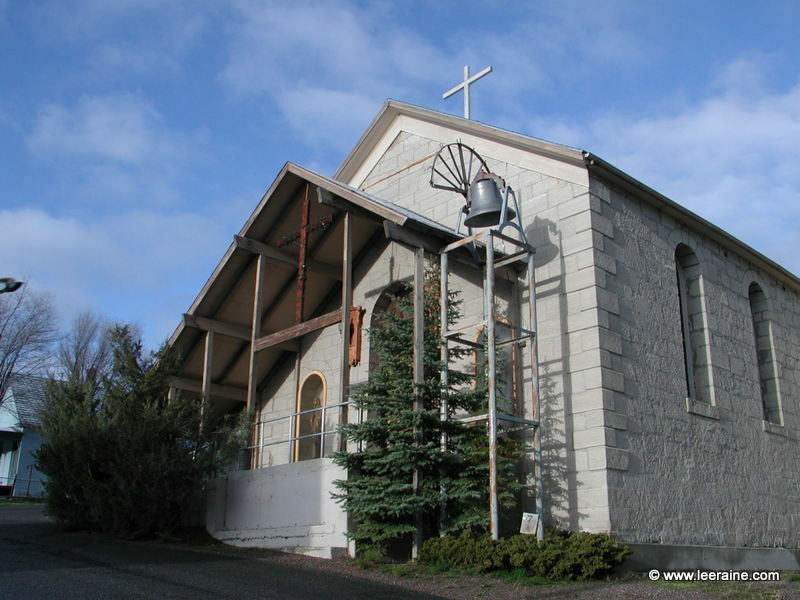 In 1990, Eureka County acquired the structure and began a three-year restoration. The Opera House reopened on October 5, 1993. The Building received the 1994 National Preservation Honor Award. 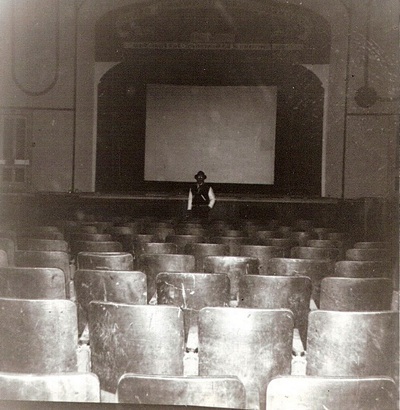 Other historic elements such as the original projectors from the early days of the silent movies, the first "talkies" projector, and a carbon-arc spotlight are on display. 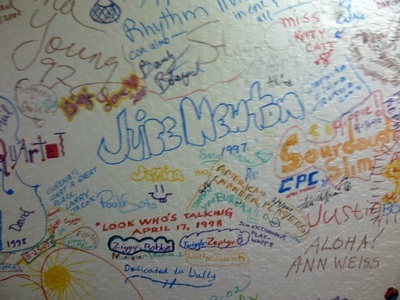 Historic graffiti has been preserved back stage from the early days and the tradition has been continued with signatures of the people who have performed at the Eureka Opera House since it was reopened. The Opera House maintains a monthly schedule of cultural events as well as local events. 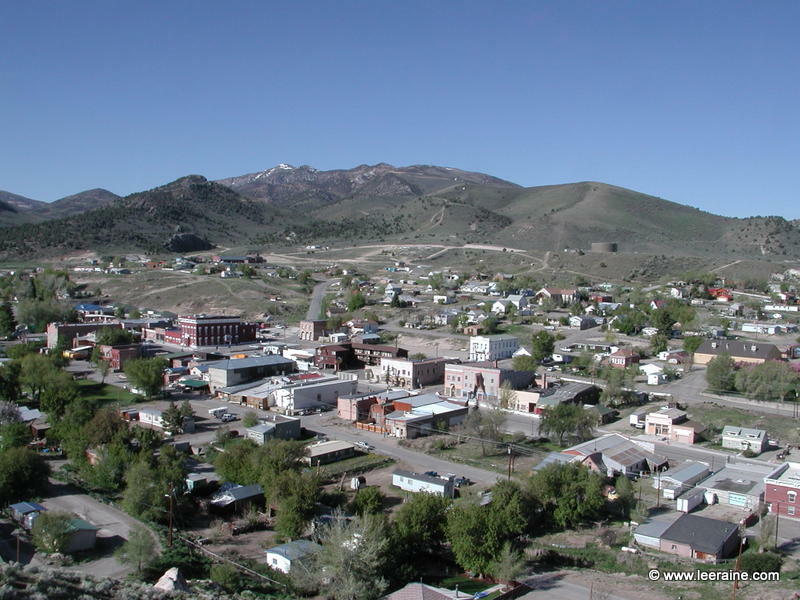 Make them an excuse to visit and explore historic Eureka, the best-preserved historical mining town in Nevada. Opera house in the 1950s, before restoration. 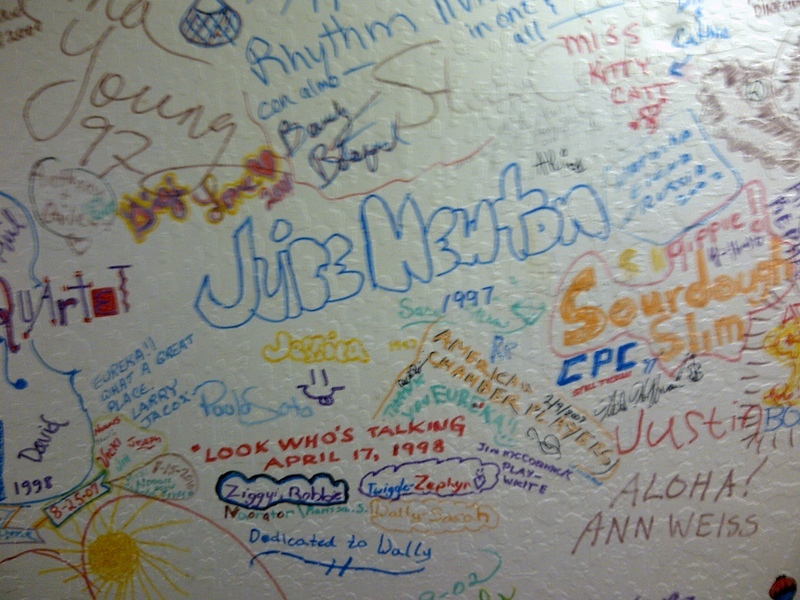 Eureka Opera House player signatures. This brick building was built in 1877 as the famous Jackson House. The building was gutted in the 1880 fire, but was rebuilt and operated until the 1890s. 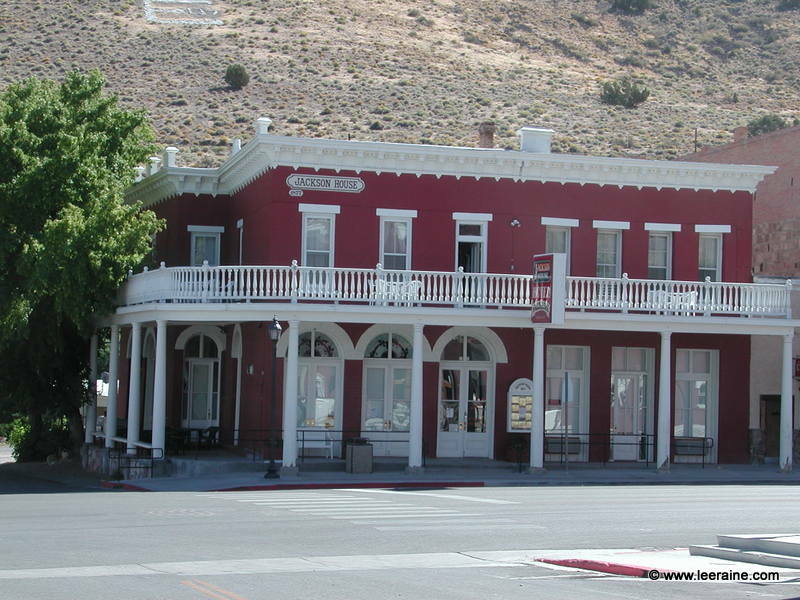 It was advertised as the only fire-proof hotel in Nevada. In 1907 it became the Brown Hotel and operated under that name for many years. 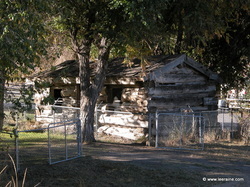 In 1981 it was restored as a historical building and once again called the Jackson House. 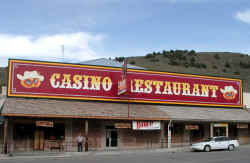 It operates as a bar, restaurant and hotel when open. This is the second building to occupy this spot. 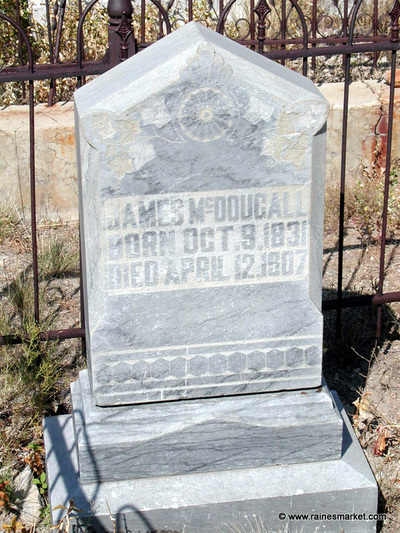 The first was destroyed by the August, 1880 fire. The building has been used as offices, apartments and a restaurant. It has been restored and is now a private home. 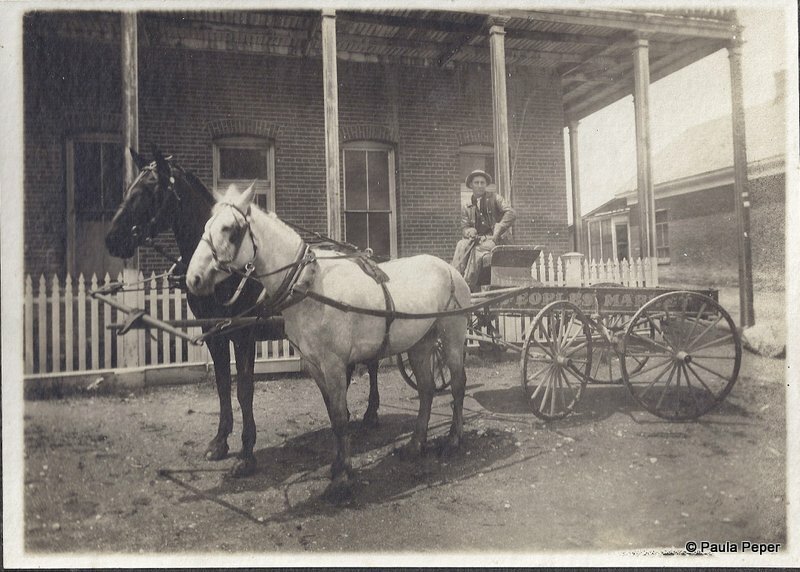 Rudolph Zadow driving the butcher wagon for People’s Market, taken June 8, 1907, on Bateman Street in front of the Ryland Building in Eureka. This crew car is the only piece of rolling stock in Eureka County left from the Eureka & Palisade Railroad. 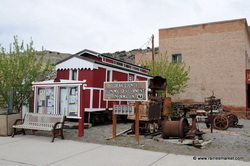 The once thriving railroad began in 1875 when Eureka businessmen formed a railroad company and sold stock to wealthy San Francisco bankers who made their fortune from the Comstock mines in Virginia City. The narrow gauge railroad was built to haul refined ore from the Eureka smelters and several other mining camps, some eighty miles to Palisade, where it connected with the main line of the transcontinental Central Pacific Railroad. This crew car was used as sleeping quarters for the men working on the rail line. The first train of the Eureka & Palisade Railroad arrived in October 1875. The railroad was revived in 1912 and ran until 1938. 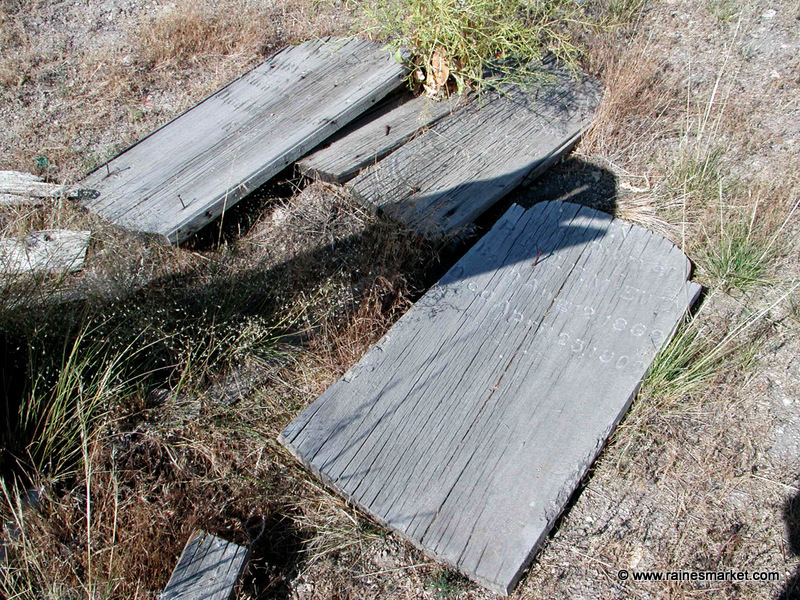 When construction of the Eureka & Palisade Railroad began in 1874, Palisade became the headquarters for the railroad where it met the Central Pacific Railroad. By 1878, 31 million pounds of ore had been shipped through Palisade. 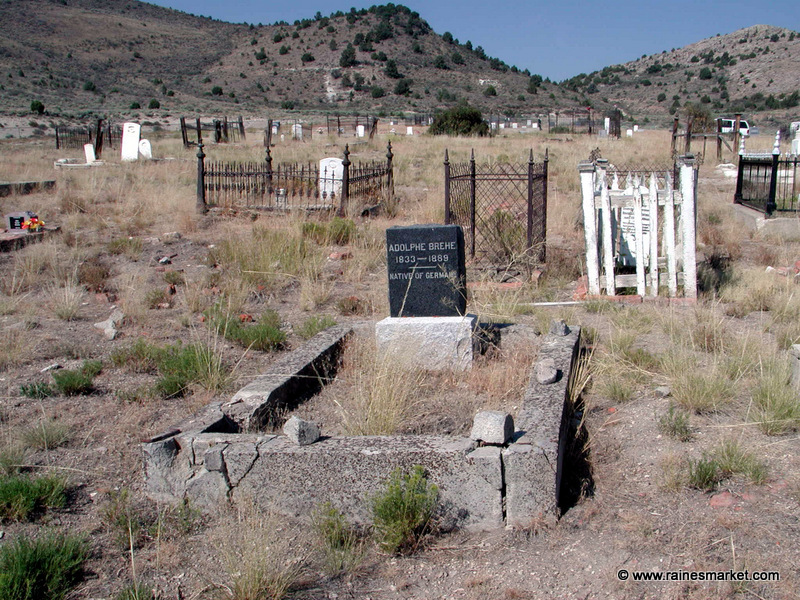 Once the Eureka-Nevada railroad folded in 1938, only a handful of people were left in Palisade and after its post office finally closed in 1961, it became a ghost town. #21 Foley-Rickard-Johnson-Remington Building This was the site of Eureka's first adobe house built by Abe Bateman. In 1879 M. D. Foley and Richard Rickard built this brick structure which was originally a two-story building. The cost when completed was approximately $28,000. The Remington, Johnson and Company hardware store was located in the northern portion of the present building in the 1880s and 1890s. 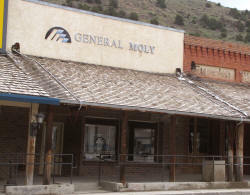 A book store and stationery store, saloon, assay office, and wells Fargo Express Office used other portions of the first floor during this period. 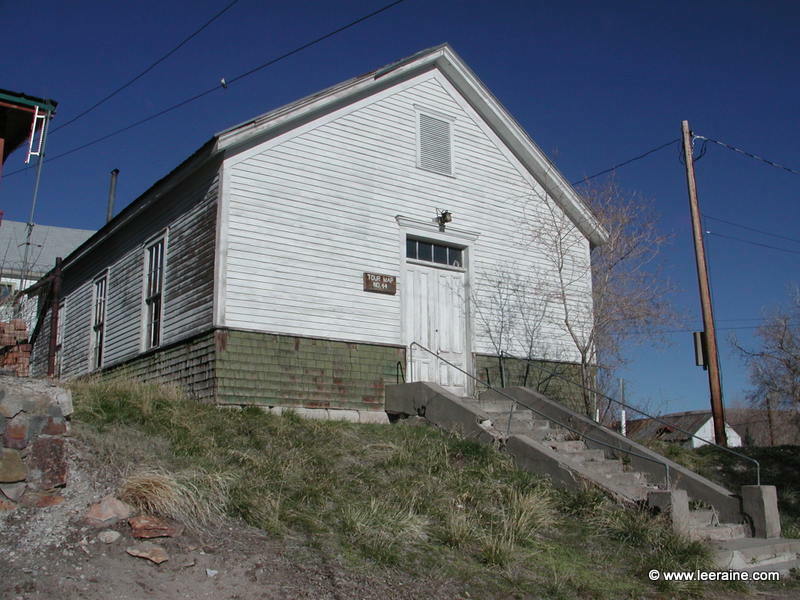 The upstairs was the Masonic and Odd Fellow's Hall. During the 1920s groceries were sold in the old Remington Store. The original iron columns remain today. The second story of the building was demolished in 1983 after earthquake damage. This is the site of one of Eureka's first banks, the Paxton and Company Bank. The original building was destroyed in the fire of 1879 and the only thing left standing was the bank vault. A new bank was built around the vault. The bank issued its own currency with its name on the bills. 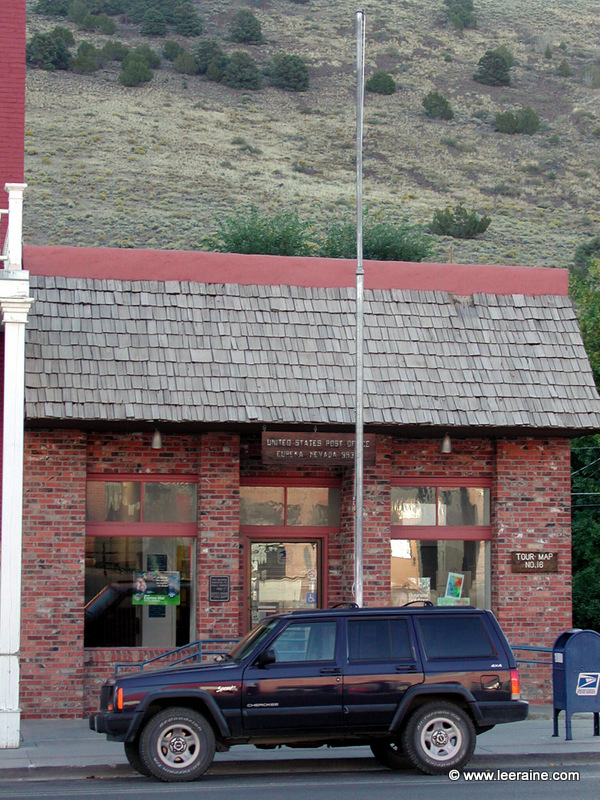 Around 1890, a Western Union Telegraph Office was added to the bank. By the year 1941, a store occupied this building and in later years it was operated as the Gold Bar. For a period of time after that it was a gift shop called the Tommyknocker. It is now a gallery and gift shop, open occasionally. #23 Stone Building with iron shutters. The original building on this site was built in the late 1870s and operated as a hardware business until the fires of 1879. The present building was completed in September of 1879. At that time, it became a clothing store. In the early 1900s the Mau Brothers purchased the building and sold clothing, shoes, books, and stationery out of the it. 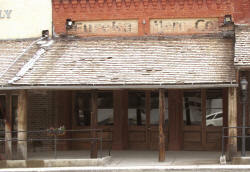 The building is called the Eureka Mercantile. 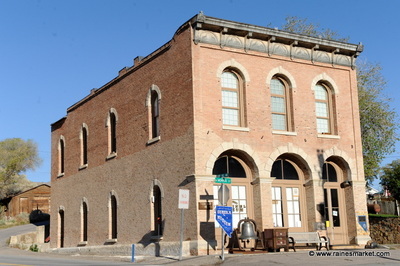 This building was the City Brewery and Soda Works, which supplied the first beer in Eureka. It has been a barber shop, the Bank Club Bar, and from about 1945 into the 1960s, it was Bays Fountain. The building has been in the Raine Family since the 1970s. 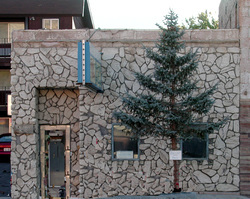 It was a movie theater during the 1970s and a ceramic and gift shop called the "Hanging Tree" into the 21st century. 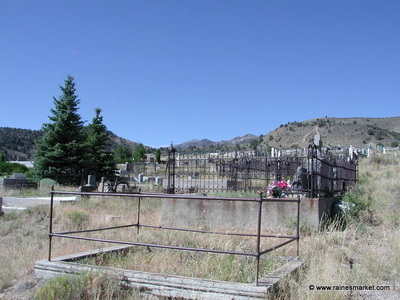 It has been occupied by mining offices for several years. Originally this establishment was a two-story structure. The C. P. Brewery was downstairs and the Palace Saloon upstairs. 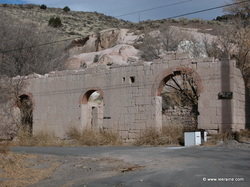 A one story structure was built after the 1880 fire. This building has been used as a bar and cafe for many years. 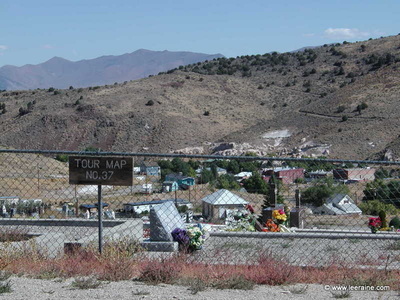 It has now been consolidated with the Nevada Club buildings described below. The Carrion family purchased the Owl Club Bar & Steakhouse from Harland Hiles in 1981. The southern portion of this establishment was originally called the Tiger Saloon. It gained notoriety on separate occasions. 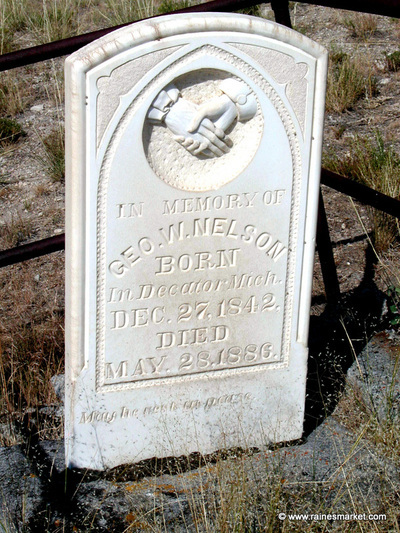 Gunfights in the saloon resulted in the death of two men. 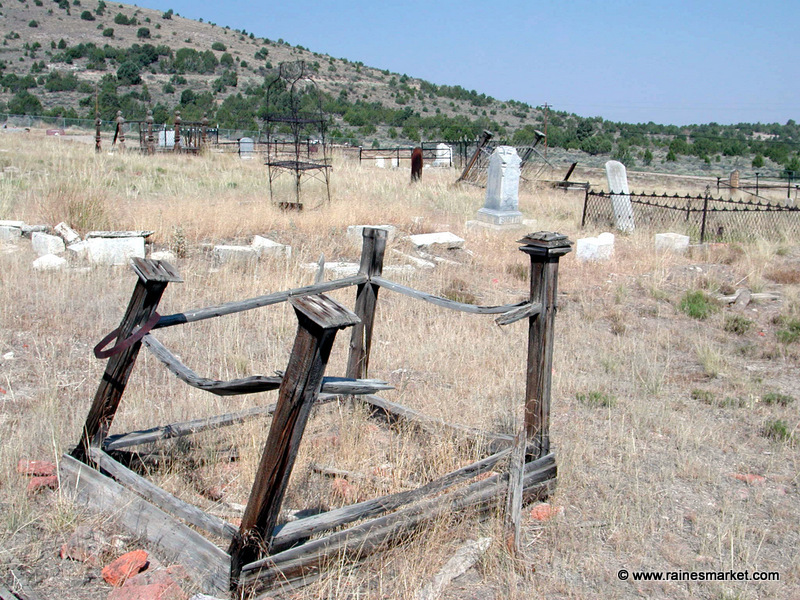 The original frame structure was destroyed in fire in March, 1880. 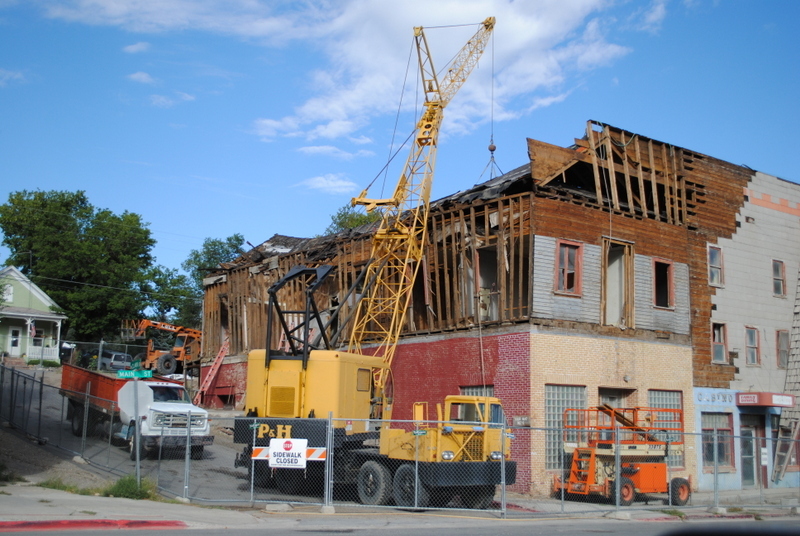 After the March, 1880 fire, the saloon was rebuilt as a two story frame structure in only 13 days. No sooner had the new saloon been rebuilt, when it was consumed again by the August, 1880 fire. The northern portion of the building was constructed in 1880 or1881 by Joseph Tognini & Company. 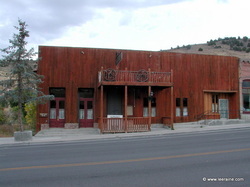 The saloon and dance hall continued to operate into the 1890s. The building was again destroyed around the turn of the century. In 1930, the present two story concrete and brick structure was rebuilt. 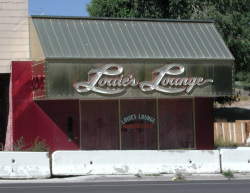 During the 1940s and 50s, Pete Laborde ran the Nevada Club. Jim and Lorraine Dotson bought the property from Laborde. In 2001, the Carrion family bought the property and incorporated it with #25, the Owl Club. 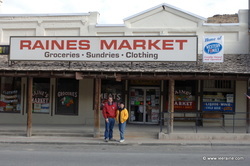 There are actually two historical buildings used as Raine's Market. The southern portion of the building was known as the Bishop and Chamblin building after its owners who completed the brick structure in June 1880. The earlier frame structure occupied by F. J. Schneider's drugstore and Spiro Gregovich's restaurant burned on March 16, 1880, but the new brick building survived the August 1880 fire. F. J. Schneider's Drugstore moved back in the new building and remained there into the 1910s. Another portion of the building has been used as Brown, Tassel and Company shoe and boot store in 1880, a saloon in 1886, and an assay office in 1890. In about 1929 the building became Kitchen Brothers' Market owned by Joe and Hiram Kitchen. After Hiram Kitchen passed away April 23, 1972, the business was put up for sale and sold by the Kitchen estate becoming Raine's Market in July 1973. The northern section was built in 1879 by W. J. Smith and Company as a saloon. This building also survived the fire of 1879. After the fire it was opened as the San Francisco Clothing Store by H. Kayser in the spring of 1880 after the Tognoni building burned earlier in March. And it survived the August 1880 fire. Wholesale liquor was sold in this portion of Raine's Market in 1886 by W. J. Tonkin. It was also a warehouse, a saloon, a men's clothing store, and a notions store. 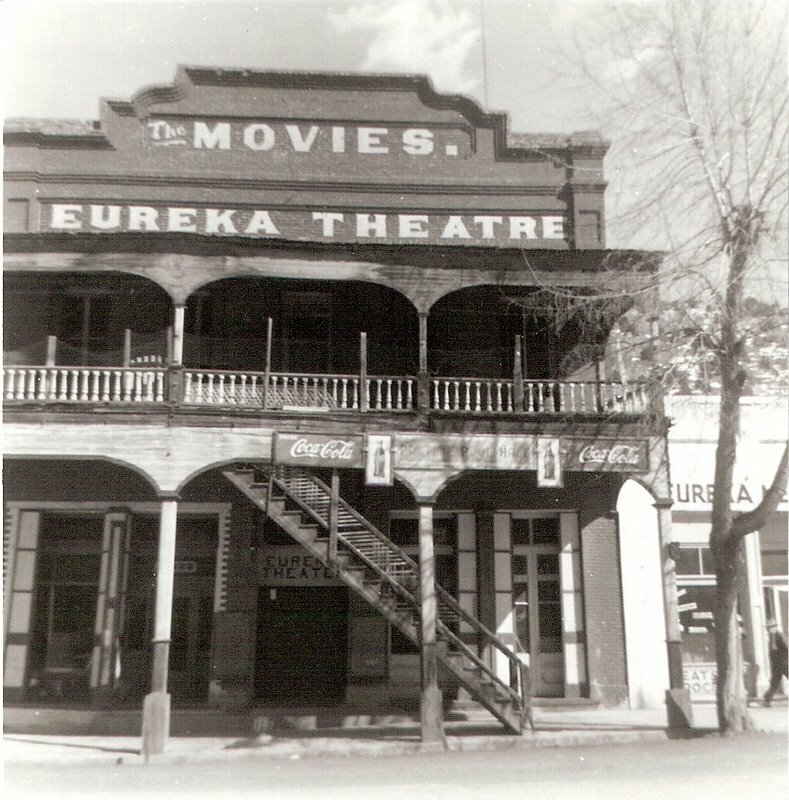 From the 1940s to 1978 it was the Eureka Drug and Fountain containing a restaurant and soda fountain and later a curio shop. The original pressed tin ceiling can still be seen in this portion of the building. It was combined with Raine's Market in 1979. After 43 years in this location, the Raine's Market business moved to a new location at 901 North Main Street in August 2016. This was the original site of the first livery stable in Eureka, established by Ham and Hunter in the early 1870s. 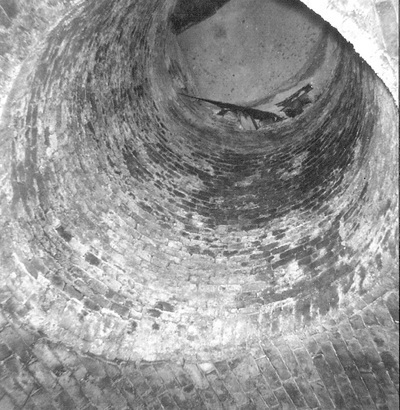 A stone building was built here later, but prior to 1873. Housed in it was what was advertised in 1878 as "The Corner! The Largest and Finest Saloon in the State." Charles Lautenschlager bought the building in 1879 and promptly tore it down. He had just completed a new building when it was burned down in the fire of April, 1879. He erected the present store building in October of the same year. A saloon operated in the front and the Old Corner Chop House was in the rear. 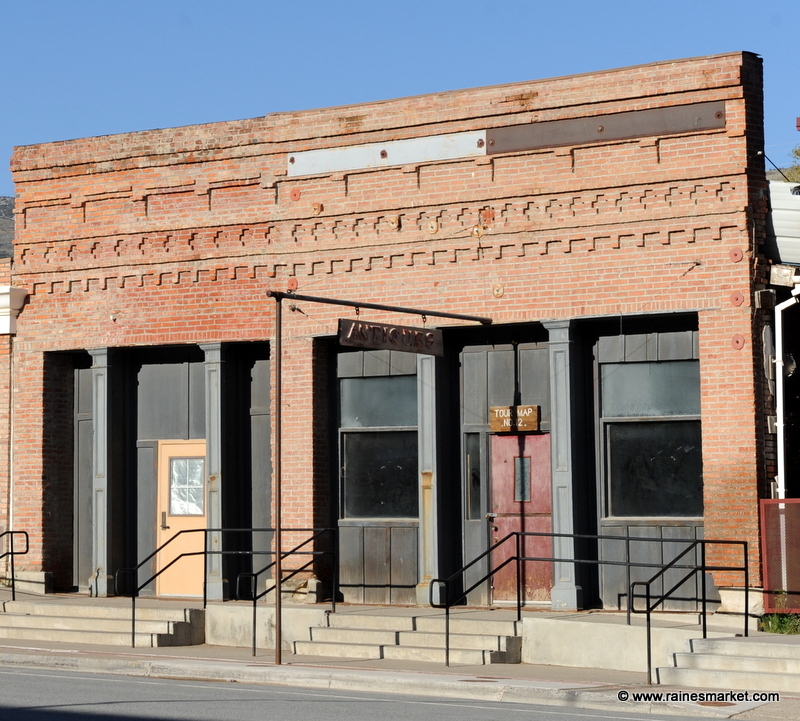 Around 1912, the building housed the Lani and Repetto Saloon and Eureka Brewery. 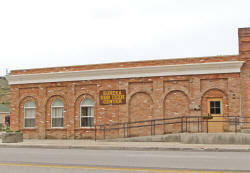 Nevada State Bank moved its banking business to 901 North Main Street in 2016. 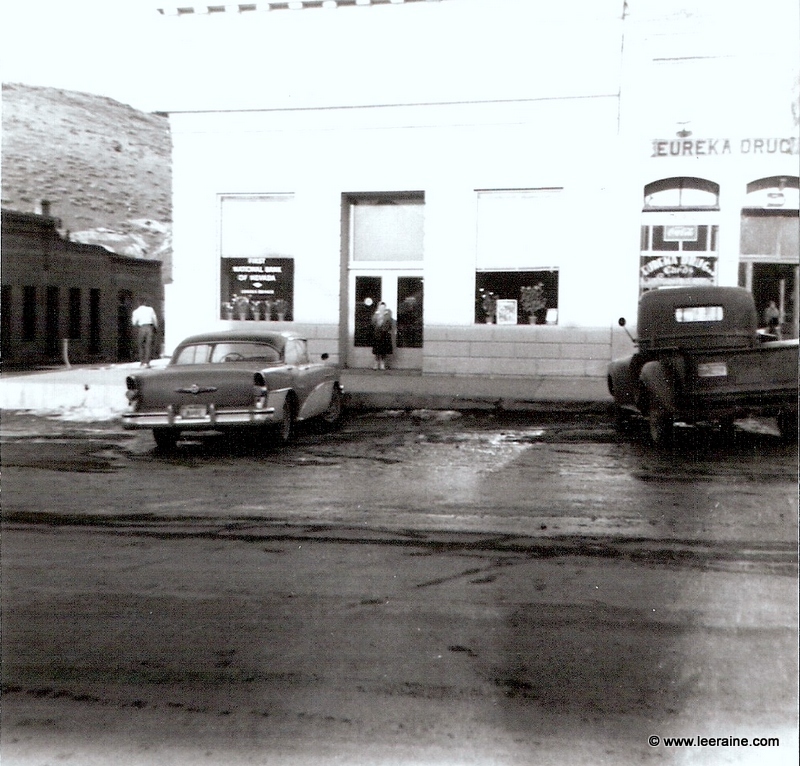 First National Bank and Eureka Drug in the 1950s. In the late 1930s, the Farmers and Merchants Bank, founded by Edna Howard Covert Plummer in July, 1920, was moved to this location. (Edna C. Plummer held the distinction of being the first woman in the nation to found a national bank. 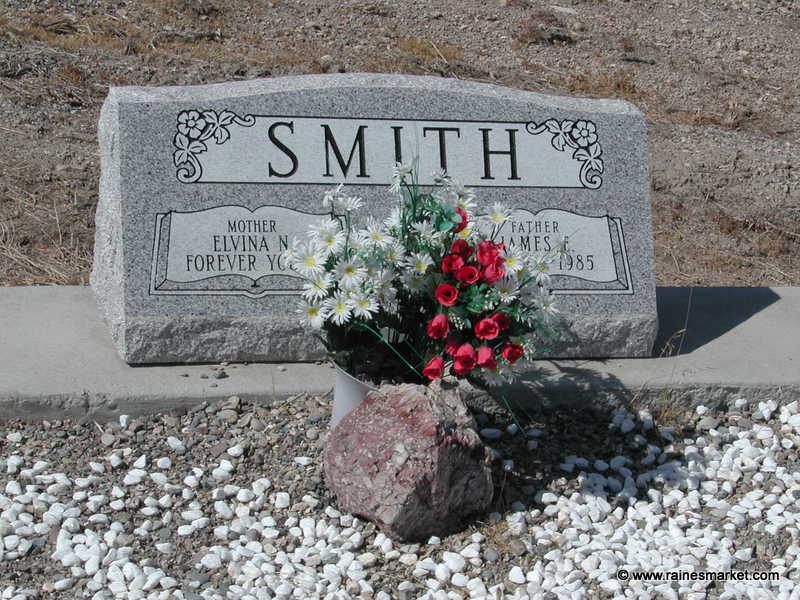 She was also the first woman district Attorney in the nation serving in that office in Eureka County in 1918.) 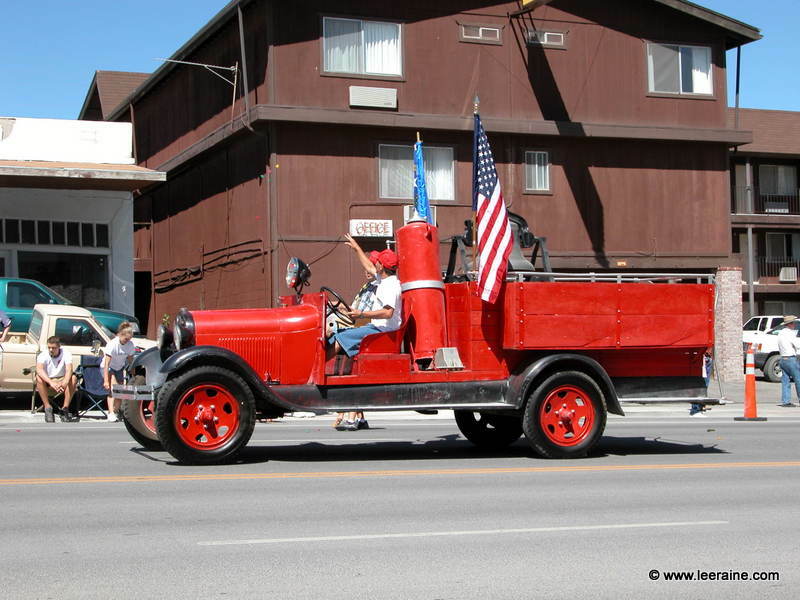 The Farmers and Merchants Bank was the only bank in Nevada to stay open during the Bank Holiday of 1933. Banks were ordered not to re-open after the closing of a certain business day. The Farmers and Merchants Bank simply stayed open 24 hours a day until the holiday ended. 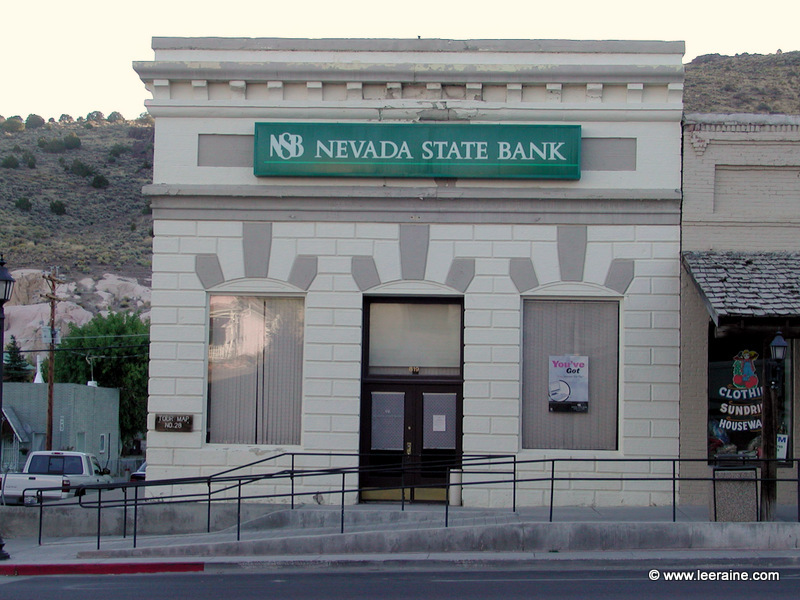 Later this bank became the First National Bank of Nevada, in 1981, the First Interstate Bank of Nevada, in 1996, Wells Fargo Bank, and then Nevada State Bank. The NS Bank business moved to a new location at 901 North Main Street in 2016. The American Exchange Building stood on this corner before the fire of August, 1880 when it was destroyed. Inside the building were offices and stores. After the fire, the owner of the property, James Whitton, built the present brick building. 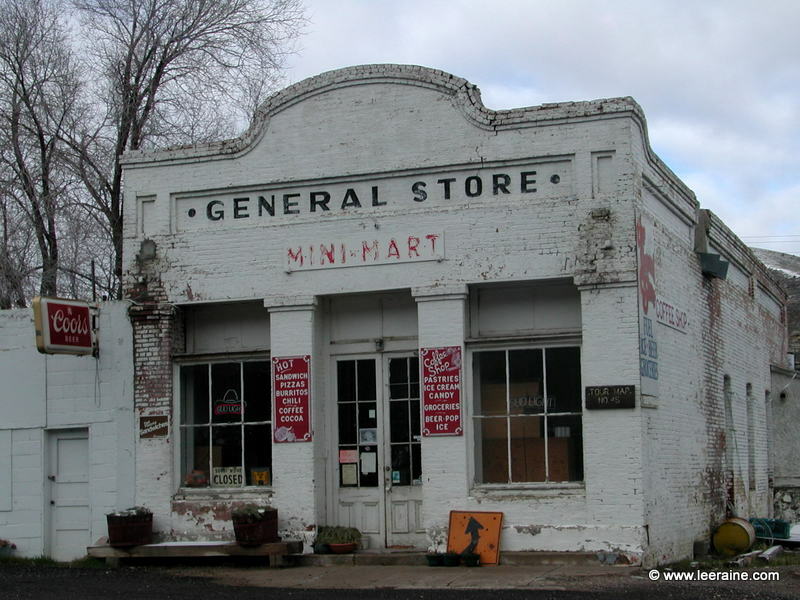 Over the next few years, it contained a dry good store, jewelry store, barber shop, bath house, tailor shop and tinsmith shop. 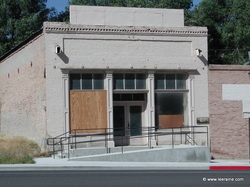 ​In 1907, a portion of the building was used as the Eureka Post Office and the rest of the building was vacant. 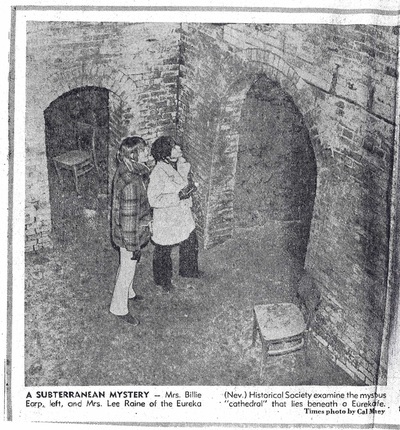 It was noted in the October 25th 1871 Eureka Sentinel that Postmaster James Whitton, owner of the American Hotel, was building a fireproof cellar built under the hotel building. 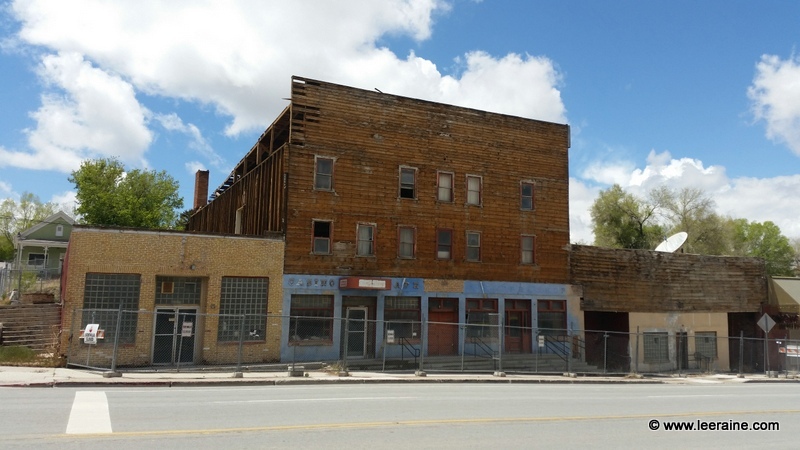 In 1872 the Odd Fellows bought the old American Hotel building. The Masonic Lodge received its charter in 1872 and had its first meetings in the office of Judge J. P. Adams. 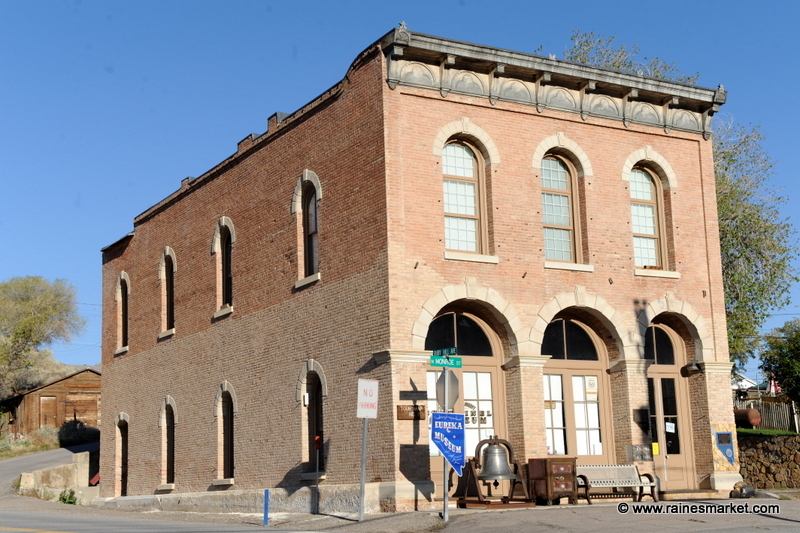 The Odd Fellows met and shared the building as a meeting place with the Masons. 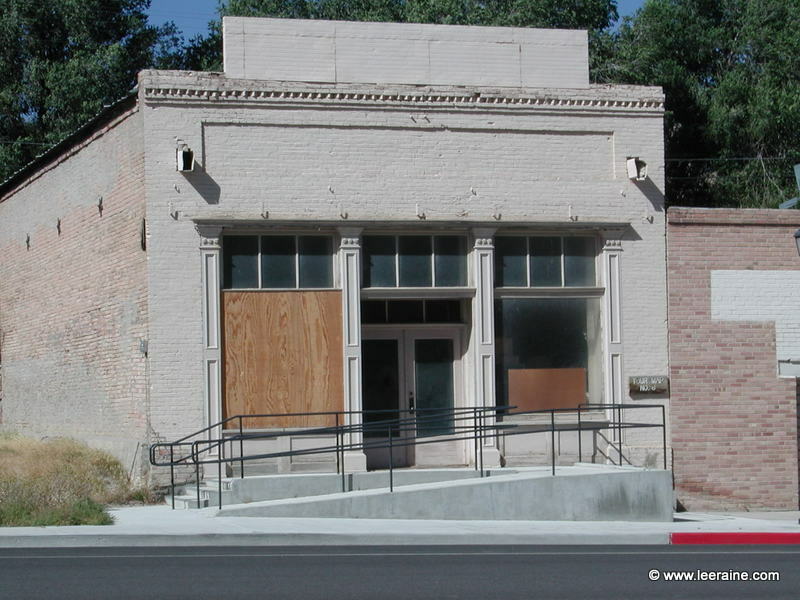 Later the Odd Fellows membership fell so low that they joined their lodge with the one in Ely and sold the building to the Eureka Masonic Lodge No. 16 for $1.00. Today the building is under renovation. It is believed to be the only underground Masonic temple in use in the United States. This establishment is a combination of two original buildings. The southern part was Brown and Godfrey's Oyster Saloon, Chop House and confectionery. It was open 24 hours a day and was the only candy maker in town. During the remodeling of this building in 1994, innumerable oyster shells were found. 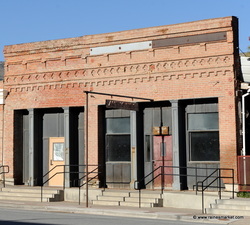 The northern half of the building was the Knights of Pythias Lodge, a fraternal and benevolent society founded in 1864. The adjoining buildings now provide a bar and restaurant when open. This building has been owned by the same family since the 1870s. 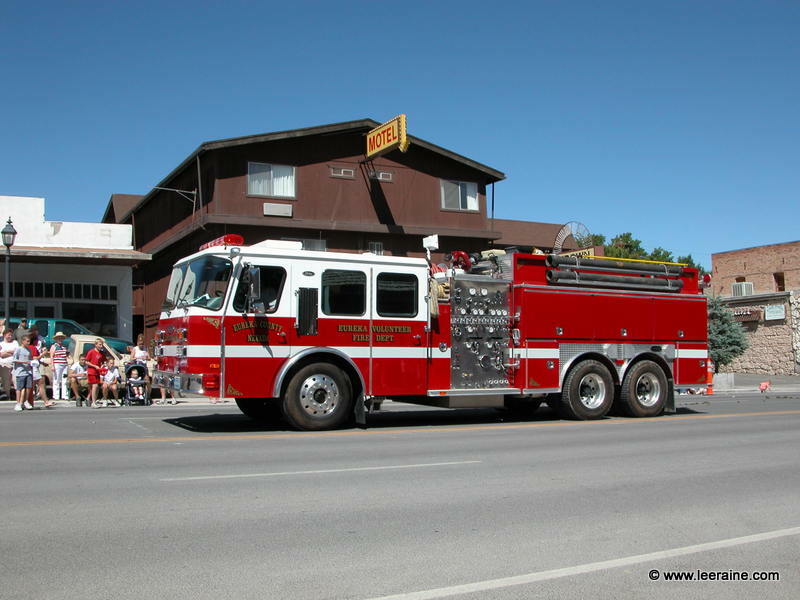 It was originally a two-story building but, after the two fires, it was reduced to one story. It began as the Stone Saloon with a boarding house upstairs. 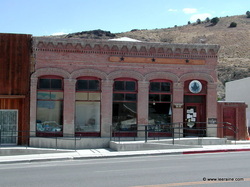 In 1903, it became the Eureka Cash Store. 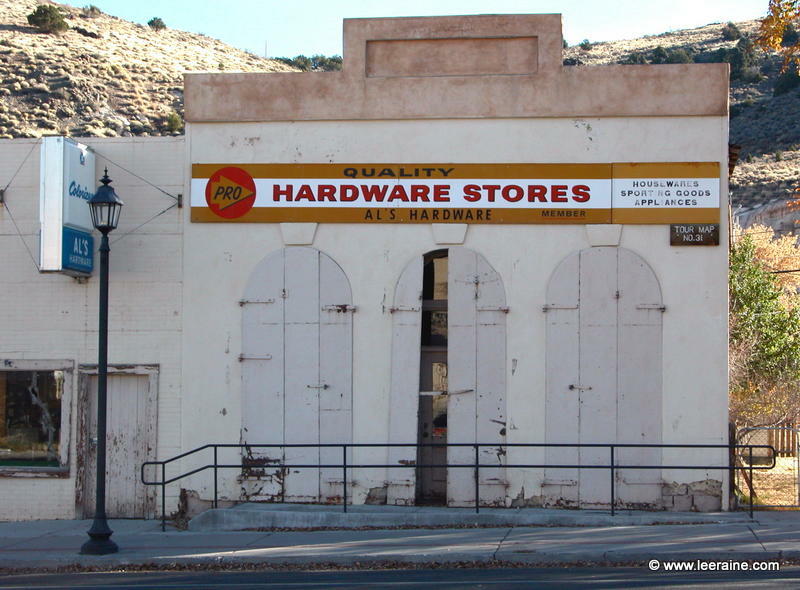 In 1946, Al Biale took over from his father and started Al's Hardware. Al Biale operated the hardware business until his retirement. Al's son Arthur continued the business and also eventually retired. Al's daughter and son-in-law continued in the same tradition. The business is now closed, but the building remains in the Biale family. 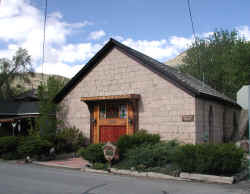 This native stone building was several things, most notably a warehouse. Notice the excellent stone work. The blocks were cut to fit together using a mortar made from local clay. The front portion shown in this photo has since fallen down and only the back wall remains. A private residence is on the lot. 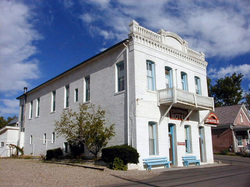 This two-story brick building was known as the Skillman House. 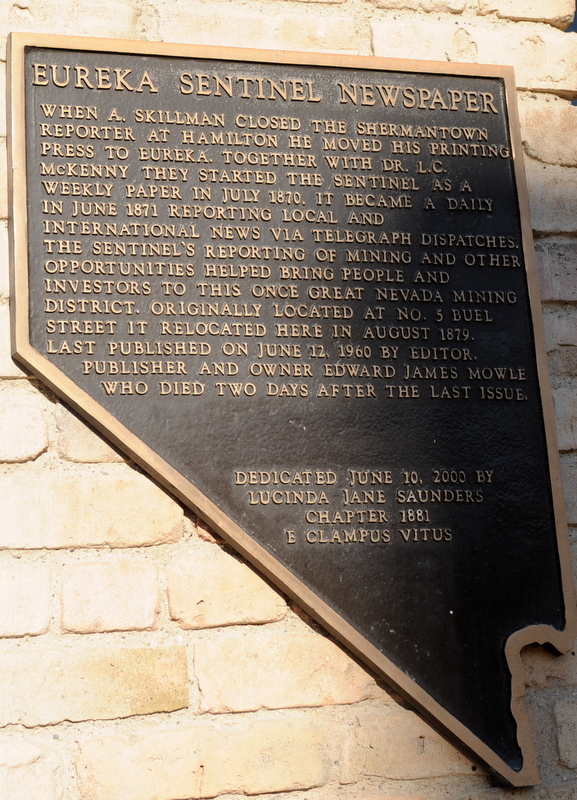 It was the home of Archibald Skillman, founder and publisher of the Eureka Sentinel Newspaper in 1870. Skillman sold the newspaper in 1944, but the property remained in the Skillman family for many years. 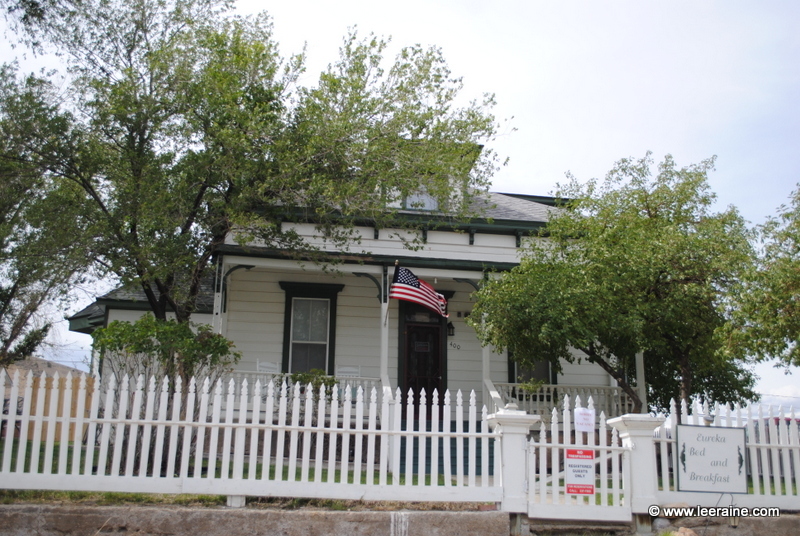 This house known as the Parsonage House was originally built in 186. There have been two major renovations to this house over the past 100 years of its existence. 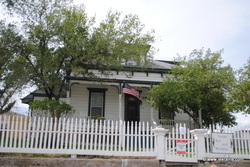 The latest renovation was completed in 1986 and it has served as a bed and breakfast. The first two Methodist Churches were destroyed by two of Eureka's famous fires. The present structure was dedicated in 1881. A newspaper article on the building states that it had a library, vestibule, and small sleeping area for visiting clergy. The insides were said to be richly arrayed with red fern carpeting, stain glass windows, and seating for 250 people. During the 1920s revivals were held in the church. In 1982, it was only a shell when it was purchased and remodeled by private individuals. It has served as a bed and breakfast. This is Eureka's first permanent Church, built in 1872, one year after the cornerstone was laid. It was built to accommodate the miners who had come from England. Regular services were held from 1893 until the church was closed in 1907. 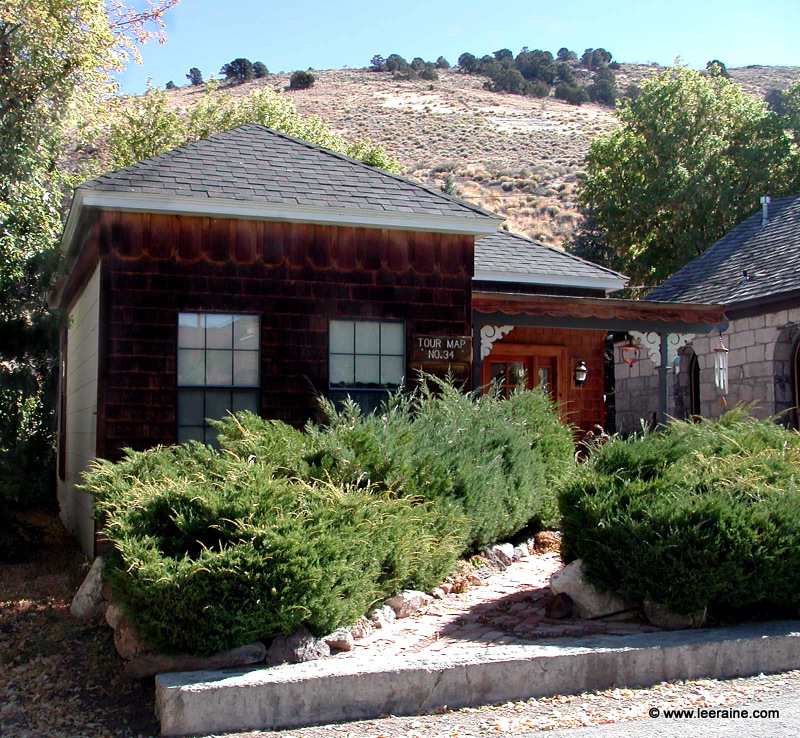 The building is made of hand-cut local volcanic stone and survived the disastrous fires of the 1880s. Today church services are again held here on a regular basis. Five cemeteries are located on the west side of Eureka in Grave Yard Flat, or as it was known in the 1880s, Death Valley. 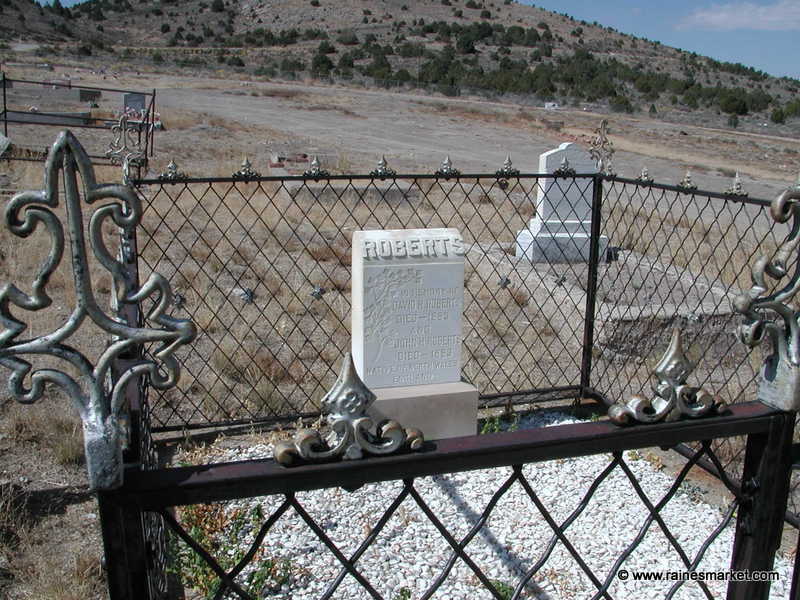 The cemeteries can be reached by driving west past the courthouse up Ruby Hill Avenue. the first one on the south side of the avenue is the Catholic, next, the Masonic. Across the road to the north are the County and City Cemeteries and further north, nestled in the piñon/juniper trees, is the I. O. O F. Cemetery. In the 1870s and 80s, the County Cemetery was privately owned by C. W. Schwamb, an undertaker who had an office above the Sentinel Office. It is adjacent to the City Cememtary. 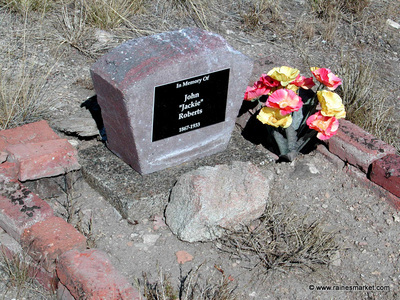 Eureka also had Chinese and Jewish Cemeteries, but there is very little remaining of those grave sites. 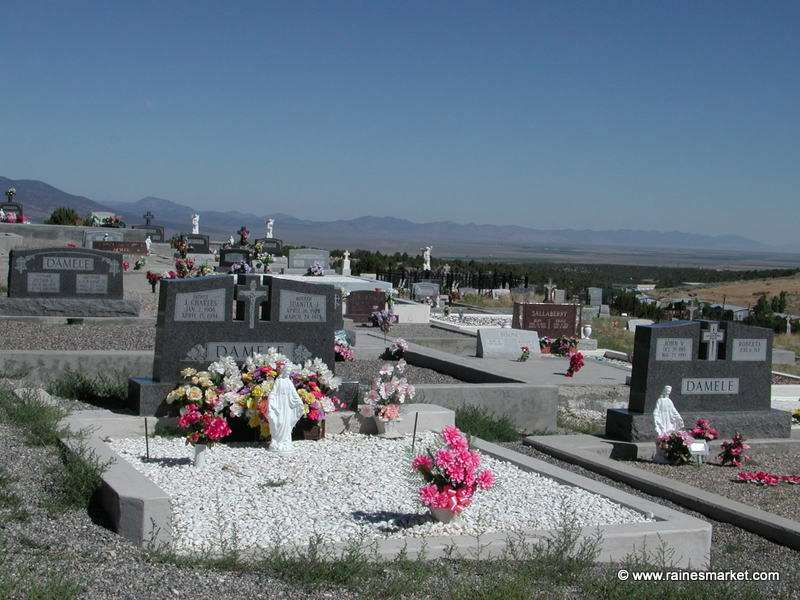 Most of the cemeteries are still being used today. 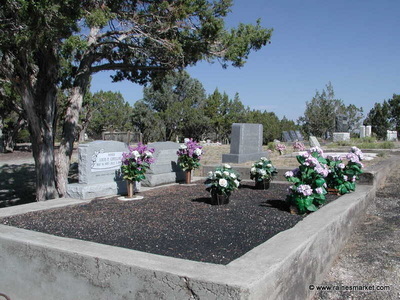 Please show respect for those that have passed on and do not disturb any of the headstones or gravesites. 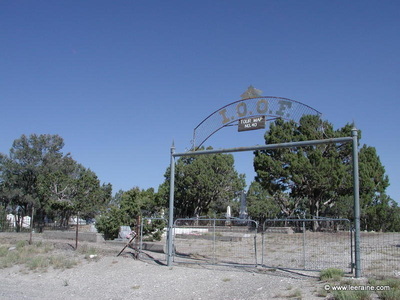 I. O. O F. Cemetery. This Victorian style house was built around 1886 by James Wilson. Later it was owned by William Zadow, the owner of a butcher shop on main street and later the Zadow Hotel where the Eureka Cafe is today. Around 1910, it was purchased by Dan Morrison. 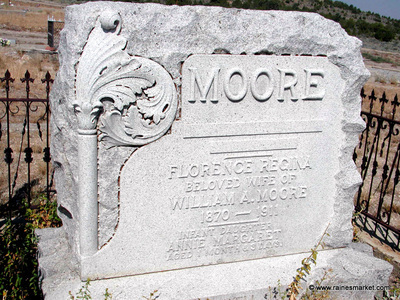 The Morrison Family owned it until the 1970s. In 1976, under new ownership, it was renovated as a private home. 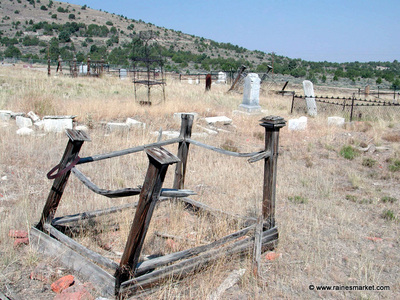 Many homes of this type were burned in the fires that swept through town, although three of the same design remain along the crest of the hill. In 2009, the Zunino family opened a bed and breakfast in this building. This still-active Catholic Church was erected in 1874 to replace the original wood structure built in 1871 by Father D. Monteverde. 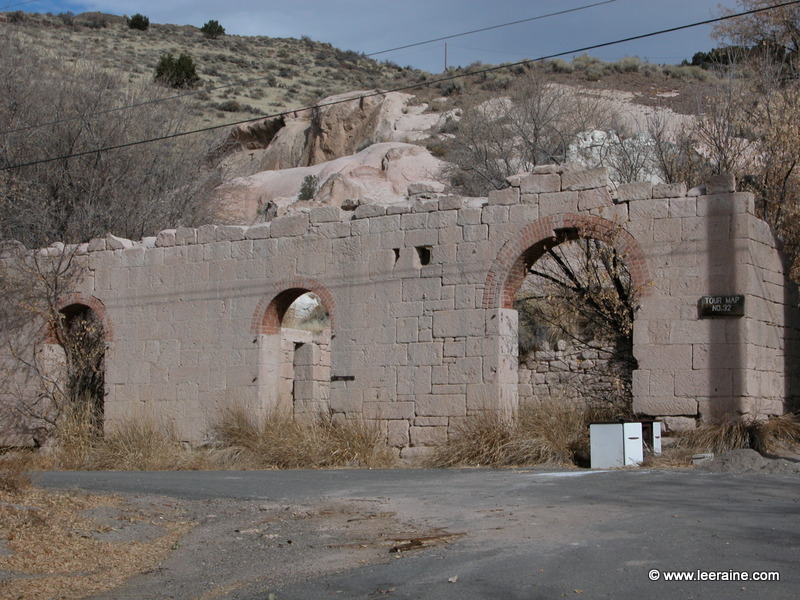 The present stone structure was built for a cost of $5000 from volcanic rock that came from the Chandler Quarry above the west side of town. Eureka's first two-story brick school was located on the south side of the church. It was built in 1879, but was torn down in the late 1930s. It had be vacated in the early 1920s due to structural damage. 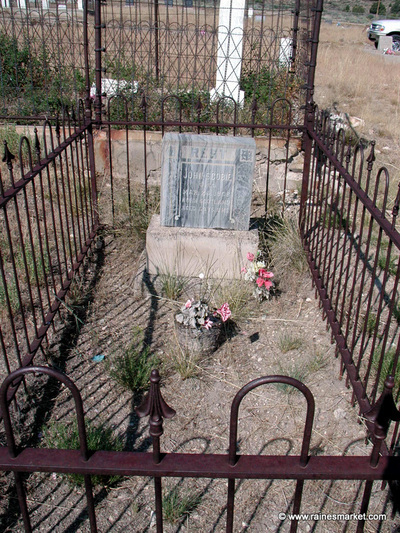 Mrs. Mary Elizabeth Isles-Wattles was born on April 21, 1845 in Stratton, England. At the age of five, she sailed to America with her parents. 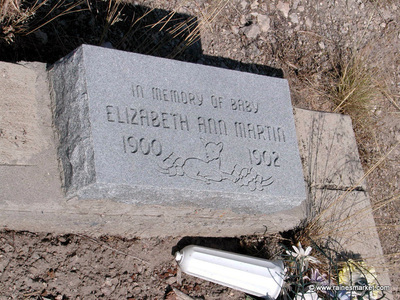 As a young woman, she married Luther Wattles in Illinois. 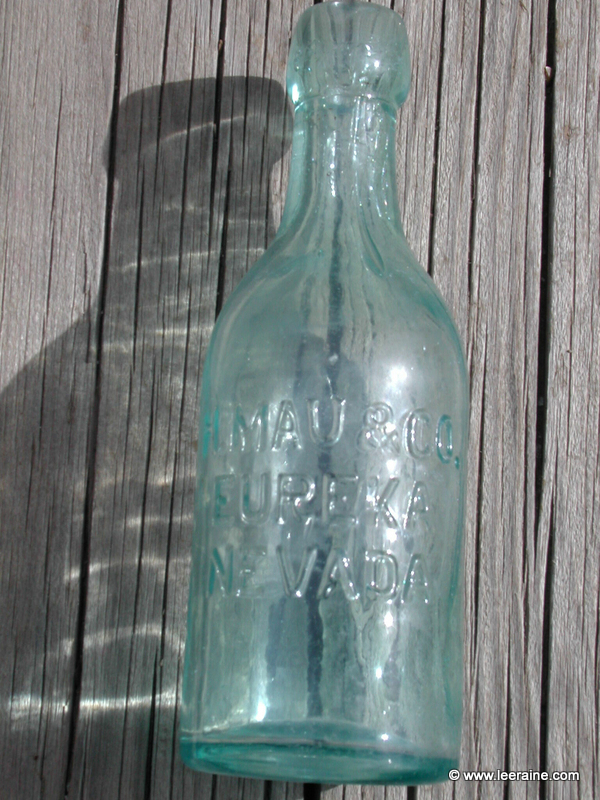 In 1903 the family came to Nevada. 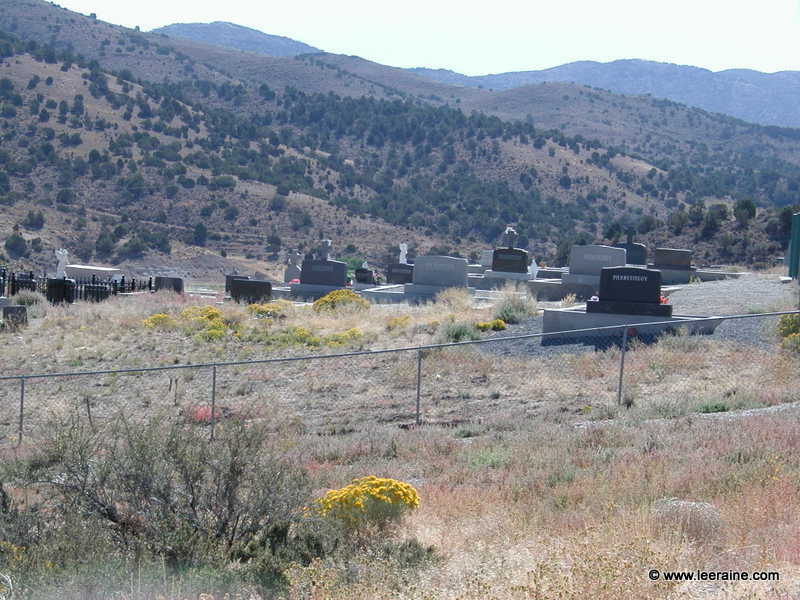 They purchased a ranch of 1800 acres with range rights in Nye County, between Eureka and Tonopah. They successfully operated these holdings for 30 years, then sold the property, and moved to Eureka. 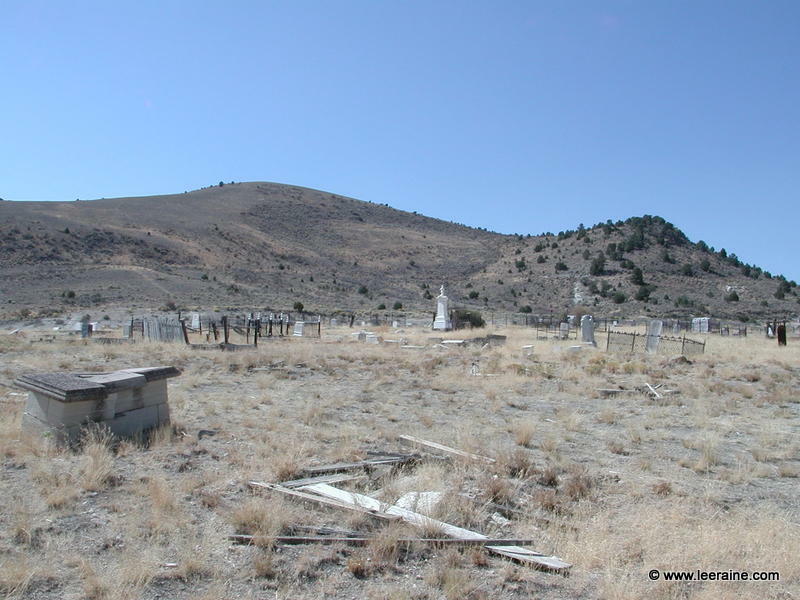 In 1920, they took possession of 320 acres in Italian Creek, 4 miles northeast of Eureka. 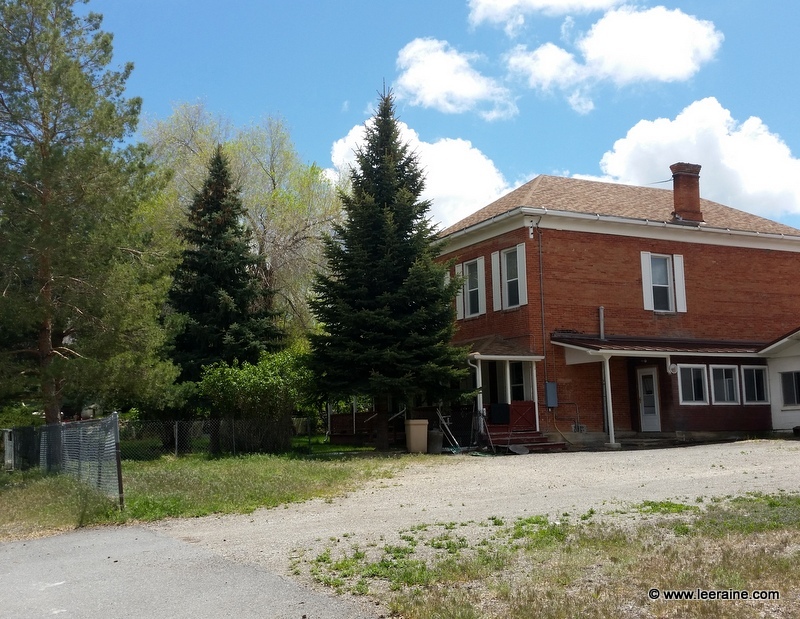 It is believed that this brick home was built prior to 1883 by Claude Ford, owner of the Eureka Livestock Company. In 1927, Mrs. Wattles purchased the seven-room brick dwelling. Ten years later, she bought an eight room home in Los Angeles, California where she spent several of her winters. 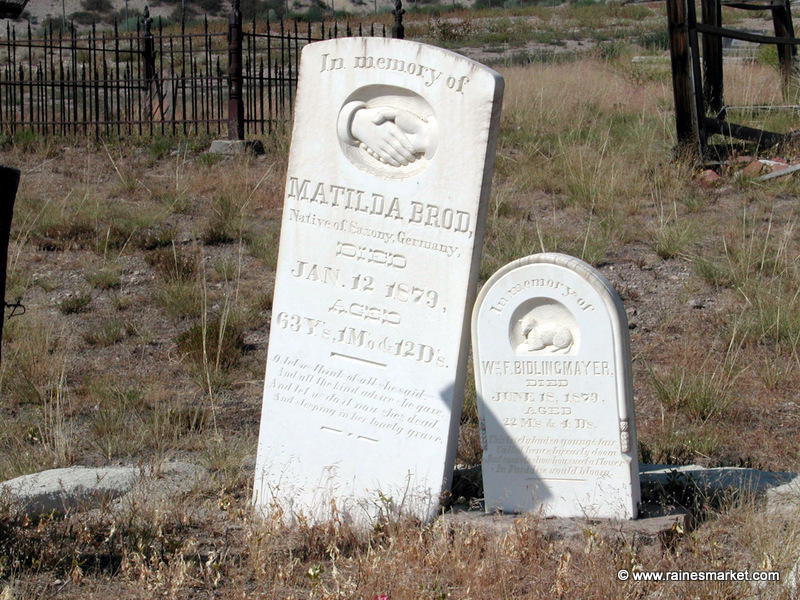 At the time of her death in March, 1952, Mrs. Wattles was 106 years old and the oldest living Nevada Resident. After five generation of family ownership, this property changed hands in 1995. I hope someday to meet you. I have only heard of your town thru my father and I sadly was never taken there as a child. My father is Pete Ardans, son of Leon Ardans and Marie Ardans (nee Harriet) who are both long deceased. My father Pete is still alive living in Arizona, where I grew up. My work has taken me to Bellingham Washington, where I am now. My father and I speak on the phone regularly, and he still tells me things that I had not heard before. Even when he speaks of things he has told me before, I listen for new details. Your town has a tremendous history, and I assume you know. Today he brought up Mrs. Wattle. We had been talking about Lincoln, and the assassination, and my father said that he knew a woman that had known John Wilkes Booth as a child. 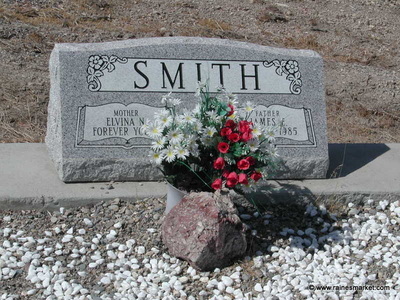 She was my father's neighbor in Eureka, she died at 106 when Pete was fourteen. He often could hear Mrs. Wattle calling for her daughter Belle, who would be working in the garden. Mrs. Wattle had been a few yrs younger than John Wilkes Booth, but she shared that with my father that she had been in the same neighborhood in the east, after she had come from England. My father's teenage job in Eureka was to deliver groceries and work in a store . 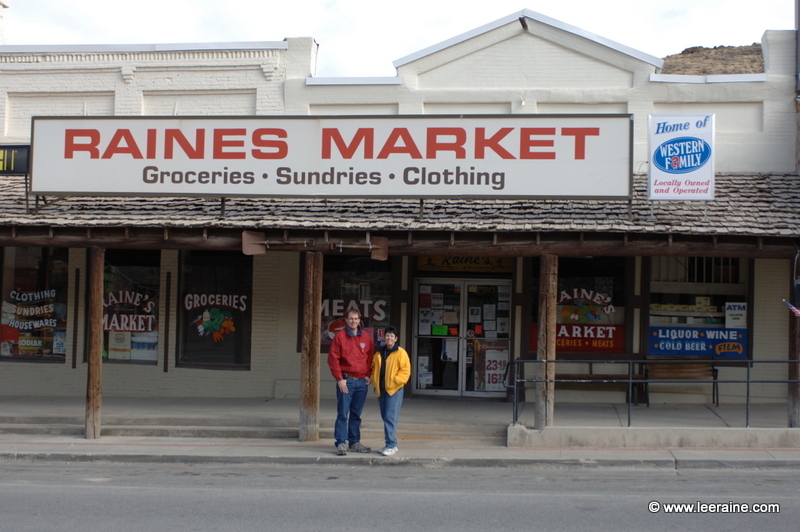 My father worked for the store [now Raine's Market] in the 1950s. His brother is Rene, and sister Rose. I hope that you would consider this bit about Mrs. Wattle for your piece on the web, and I will print your page and mail it to my father so he can see the great work you are doing. This church was organized and built in 1873. At the turn of the century, the Presbyterian congregation had dwindled and the Methodist Church occupied the building. Later it again served the Presbyterian Church. 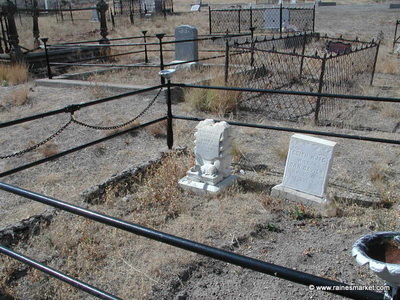 At the present time it is owned by the Diamond Valley Baptist Church and is called the Eureka Bible Church. The bell from the church is now on the south side of the Sentinel Museum building. This brick building was built in 1882 as the Ottawa Hotel to replace an earlier frame structure. For many years, into the twenty-first century, it served as a grocery and general store. 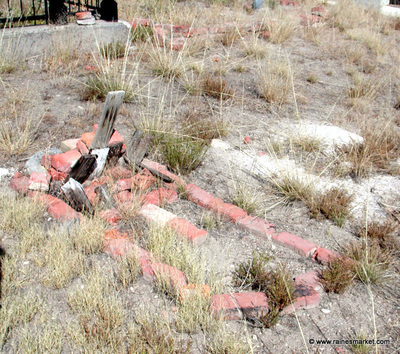 This black pile on the south end of the town is the site of the Richmond Consolidated Smelter. Small portions of the smelter, slag heaps, and the ditch for the smoke stack can still be seen on the east side of Highway 50. 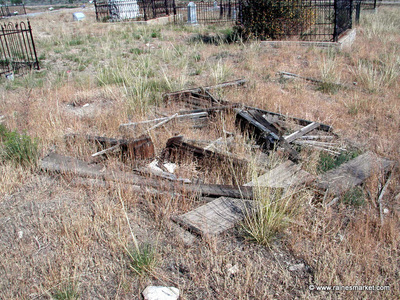 The first furnace on this site was built in 1871 to process ore from the Richmond Mine. Later that year, the furnace and mine were purchased by the Richmond Consolidated Mining Company and two other furnaces were built along with three hydrocycle or water jacket hydrocycle furnaces to replace the old smelter operation. In 1890, the Richmond Smelter stopped operations and around the turn of the century was dismantled. 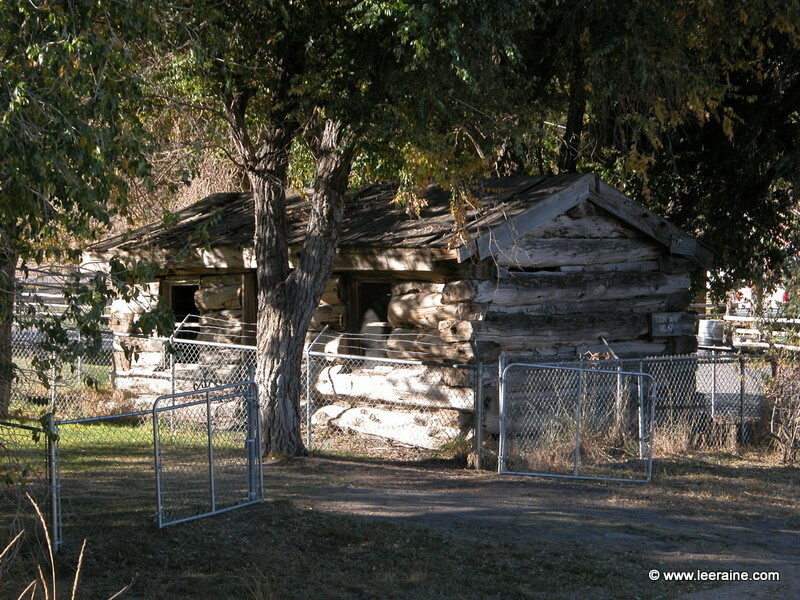 #47 Tannehill Log Cabin This log cabin is believed to have been the first house built in Eureka around 1865. In later years it served as Eureka's first store. 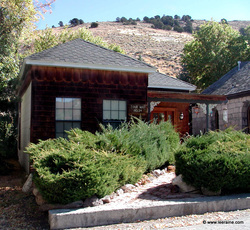 It is built of massive pine logs from the pinion pine trees that then grew at higher elevations around Eureka. The ceiling is composed of smaller pinion and juniper logs. It has been modified slightly since its original construction. Photos on this page courtesy of Lee Raine © 2001-2018. 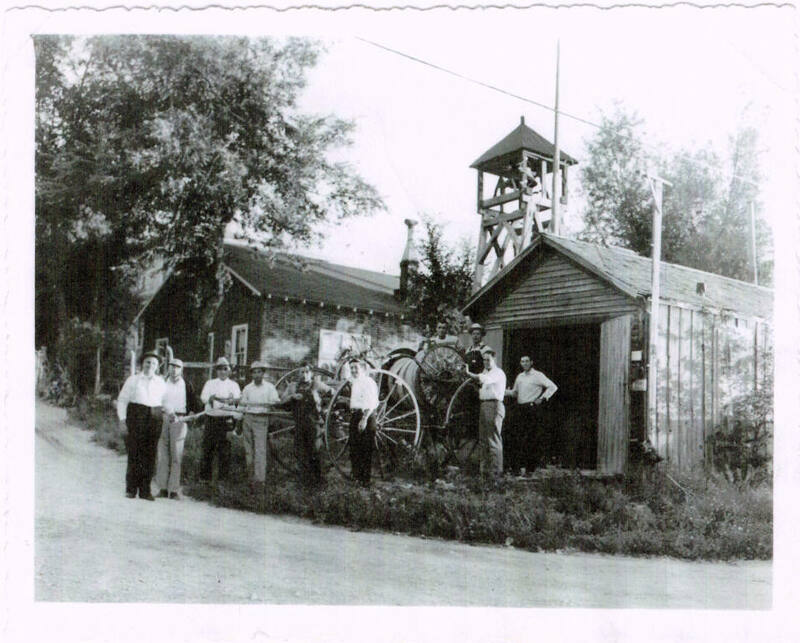 Historic black and white photos on this page courtesy of Connie Hicks.